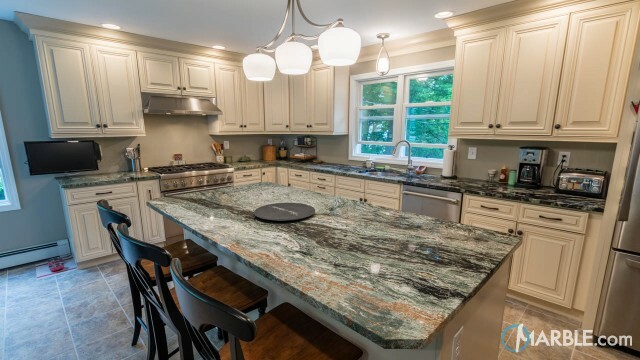 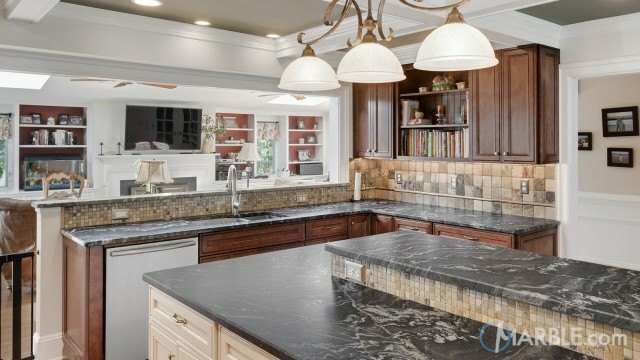 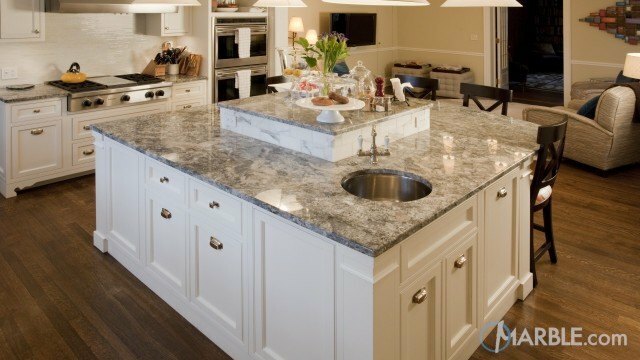 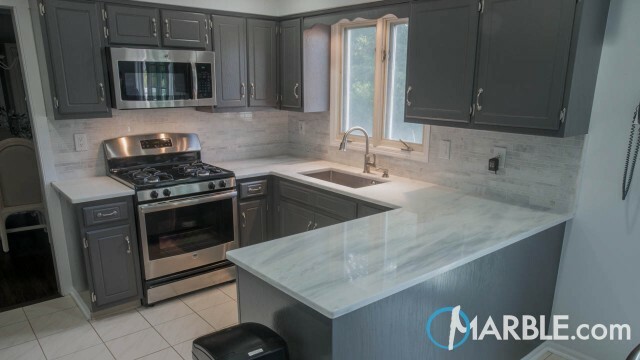 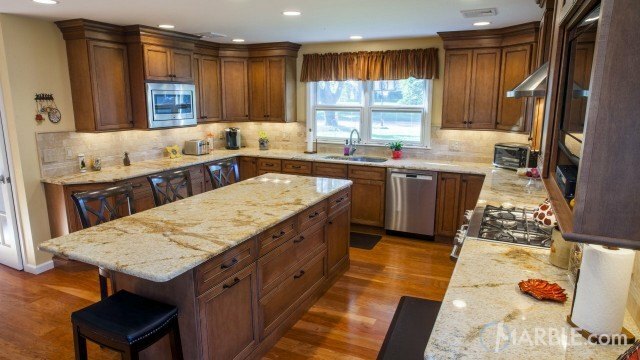 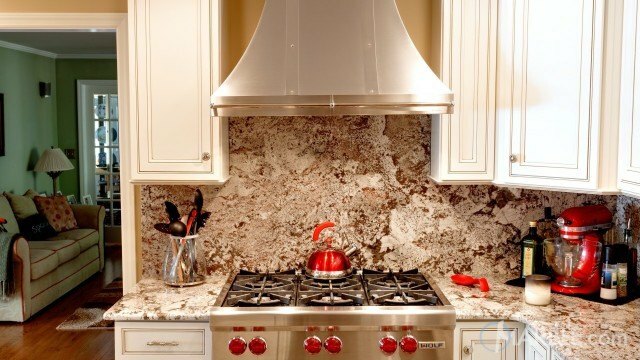 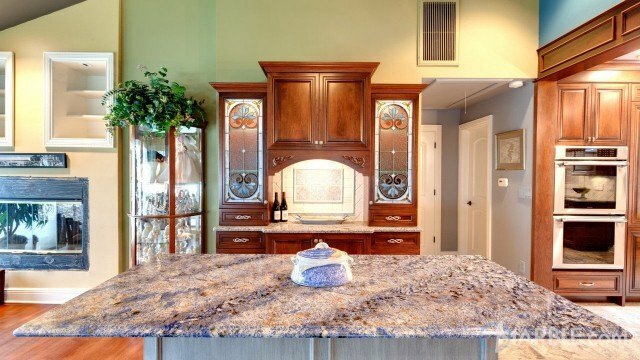 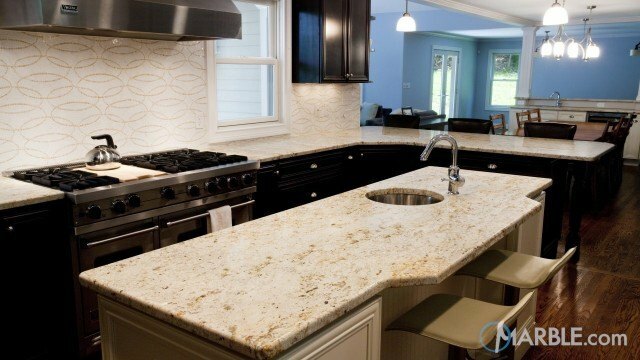 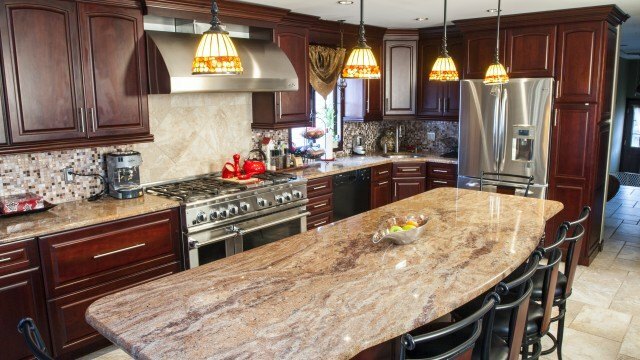 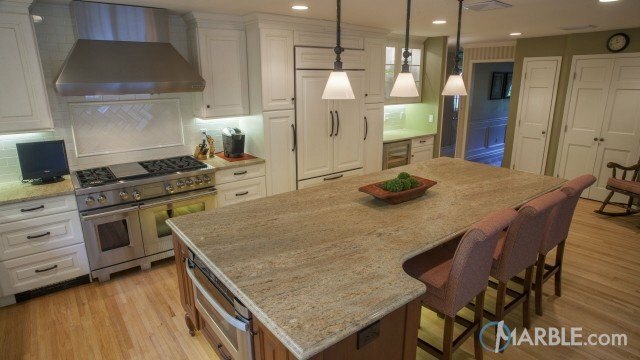 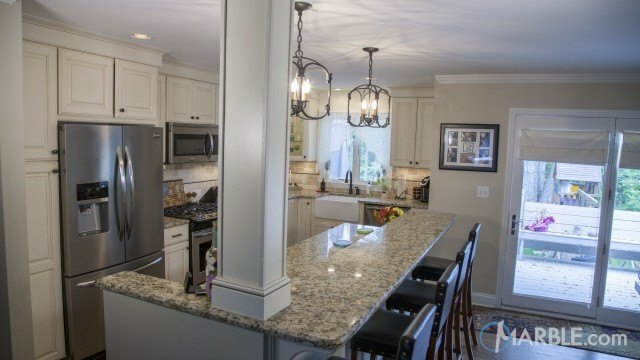 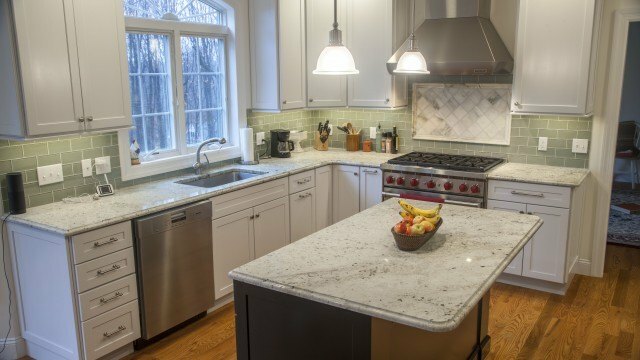 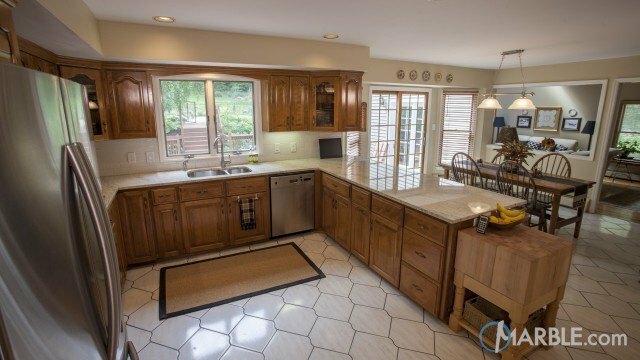 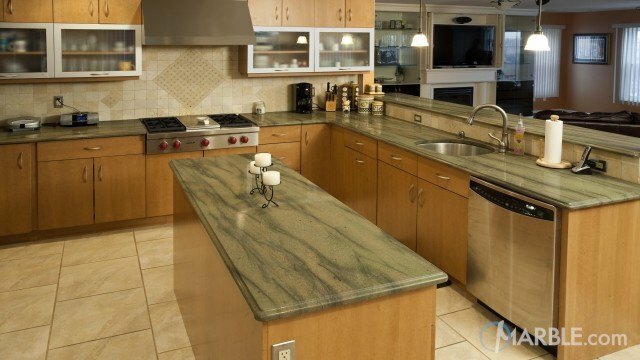 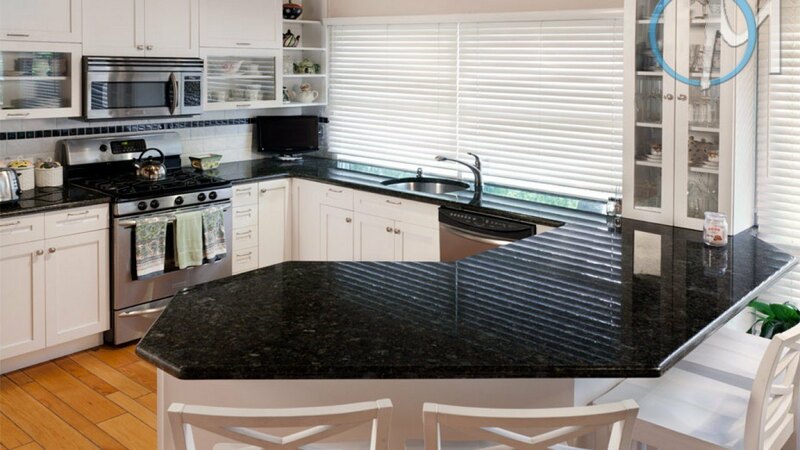 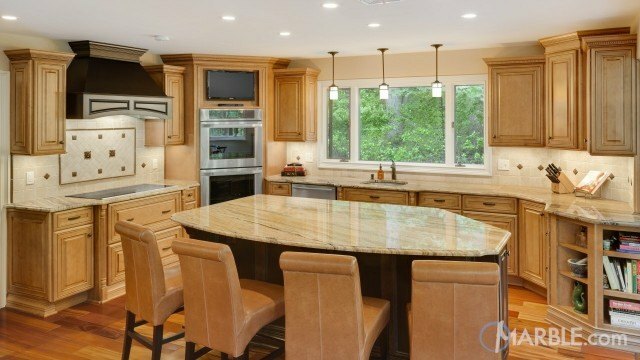 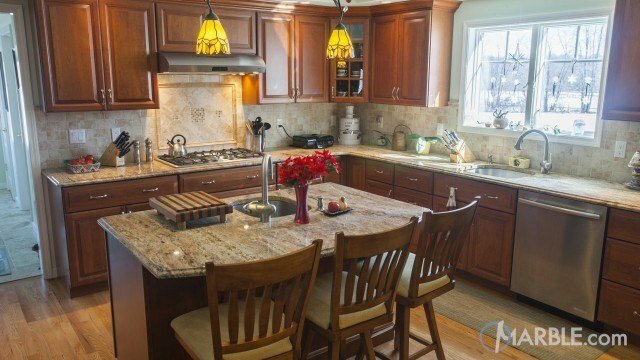 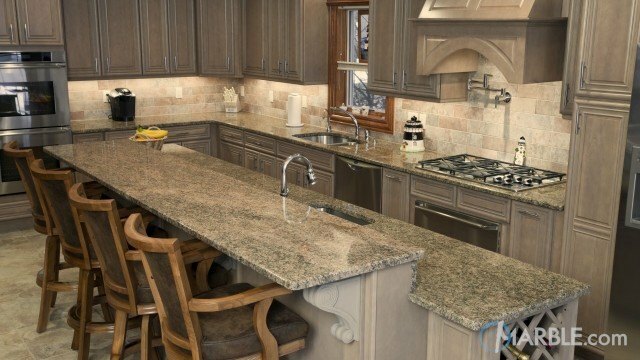 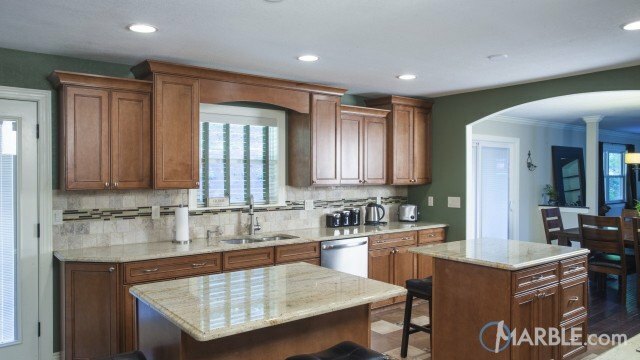 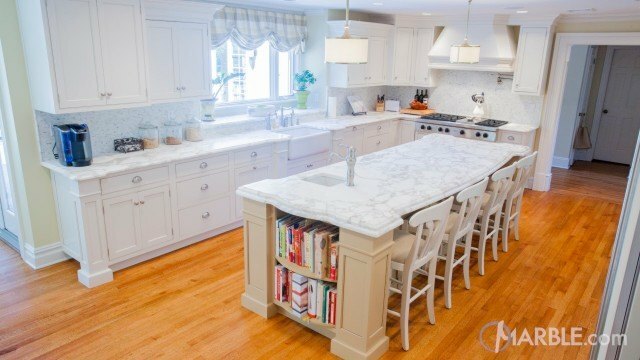 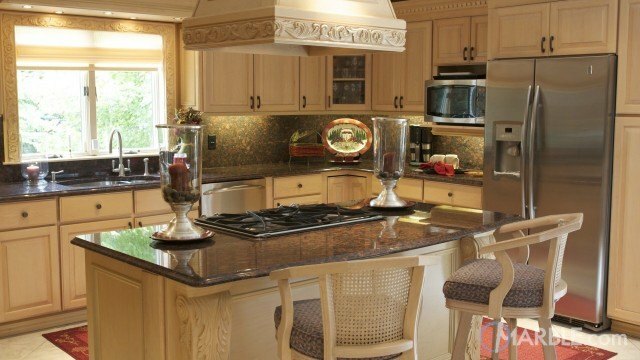 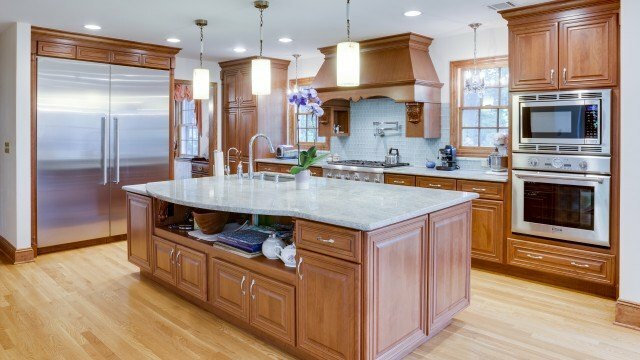 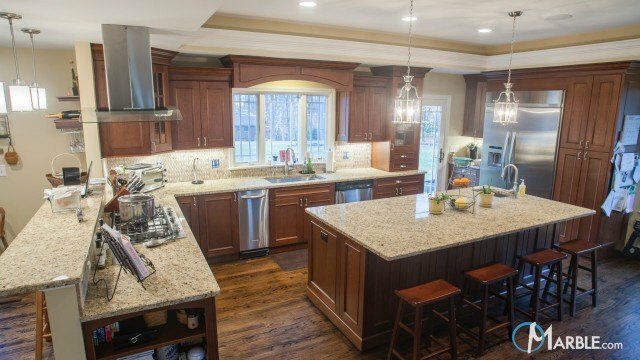 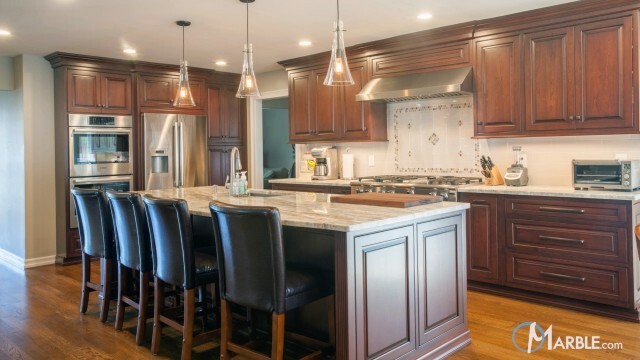 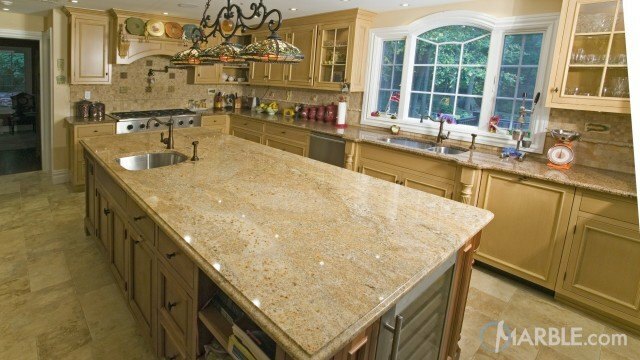 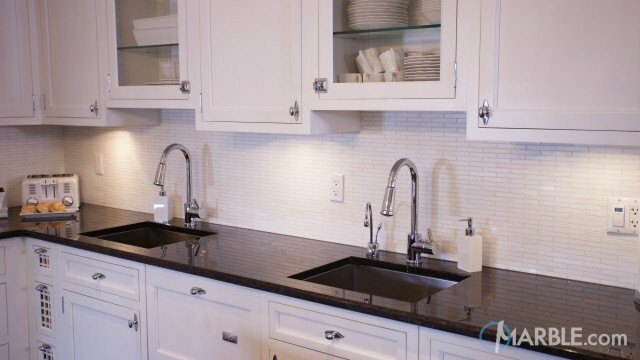 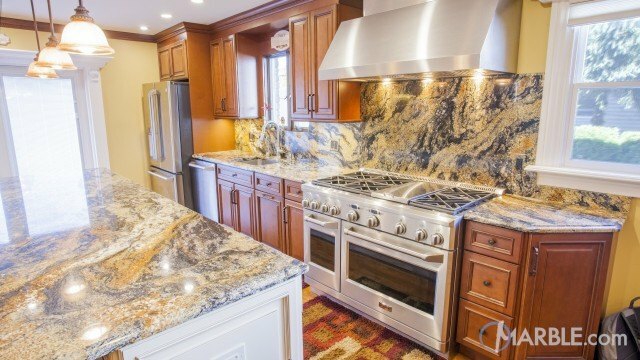 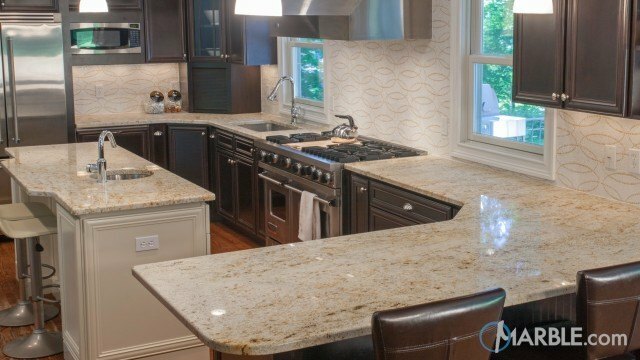 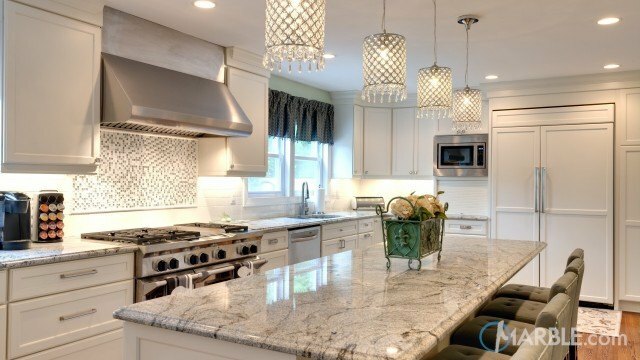 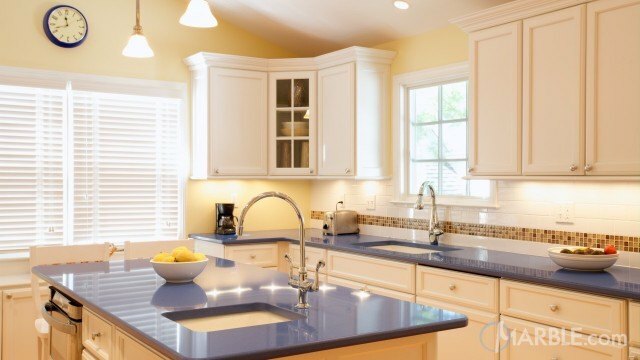 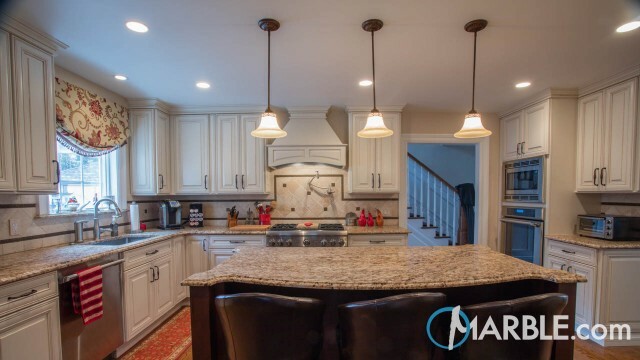 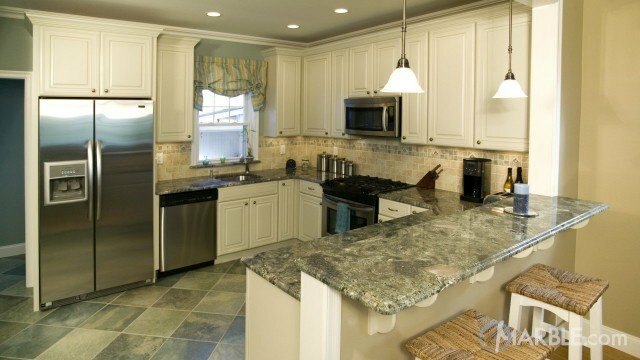 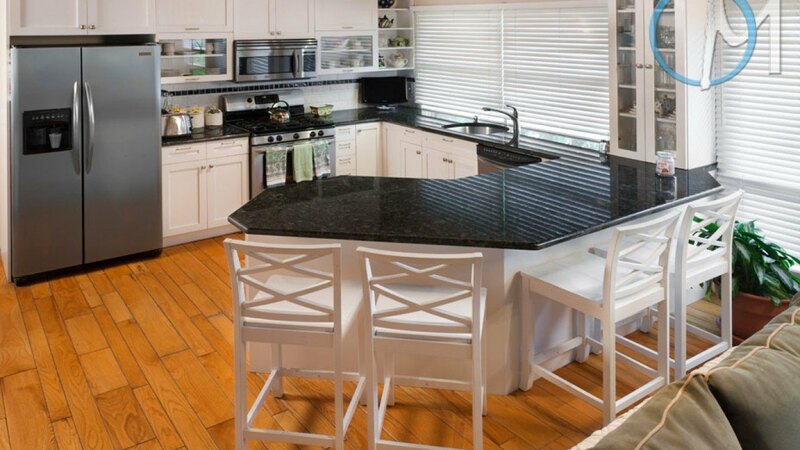 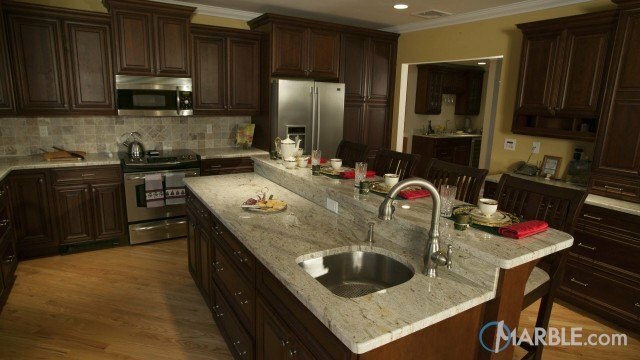 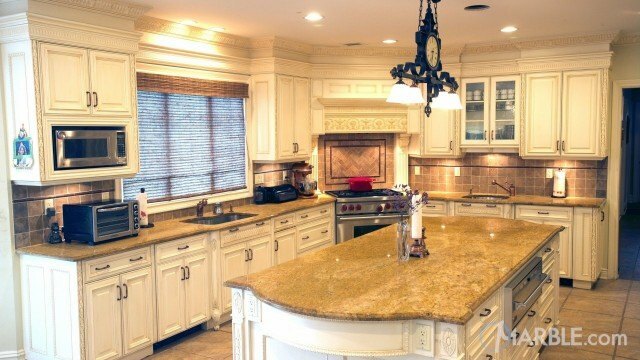 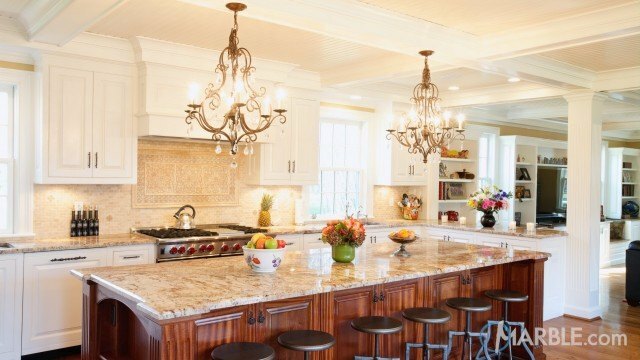 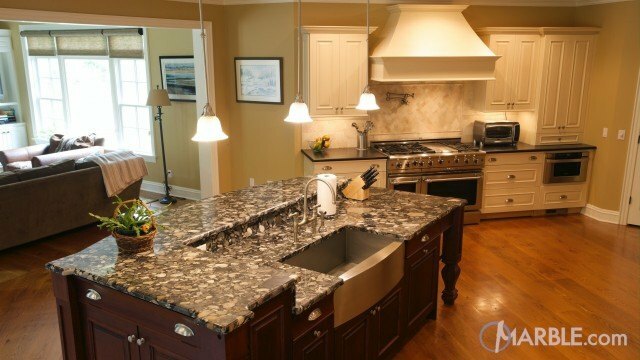 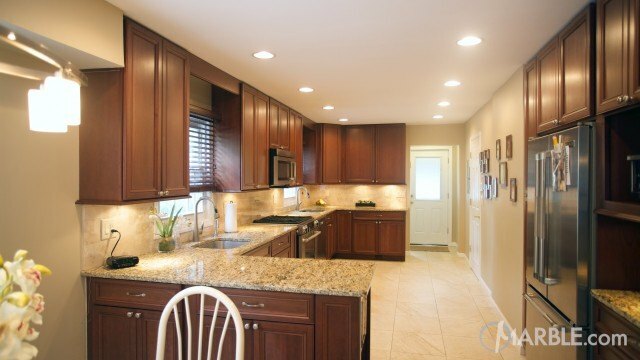 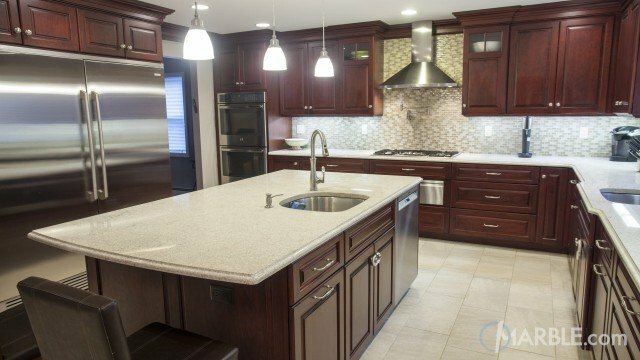 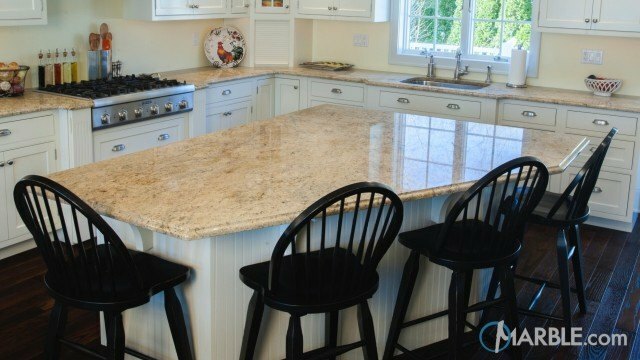 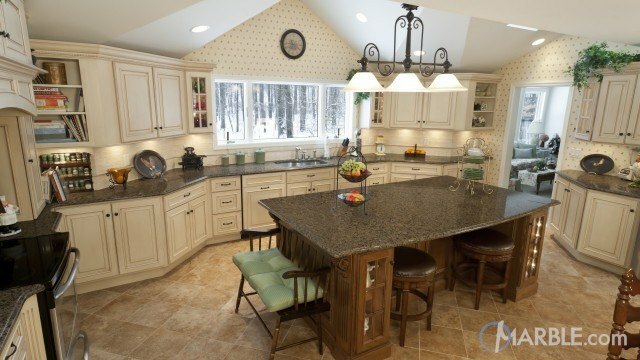 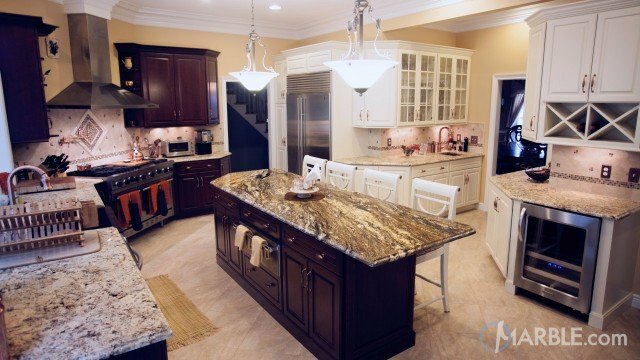 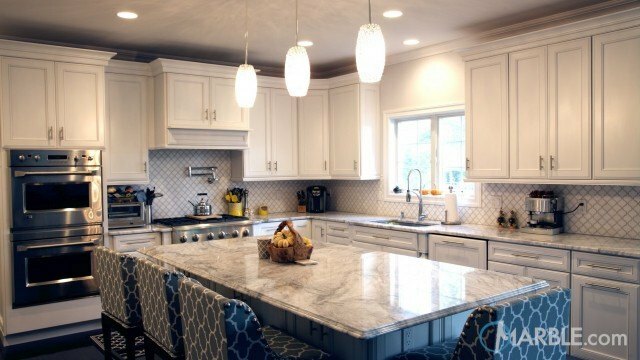 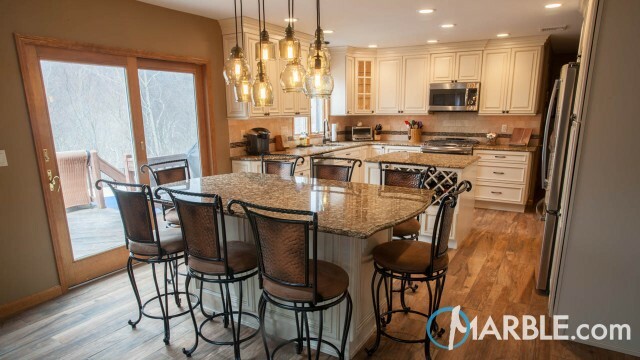 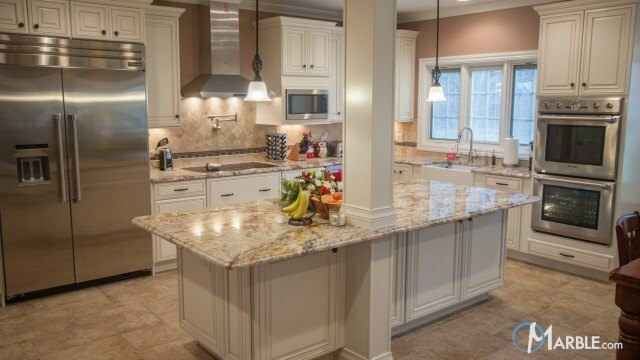 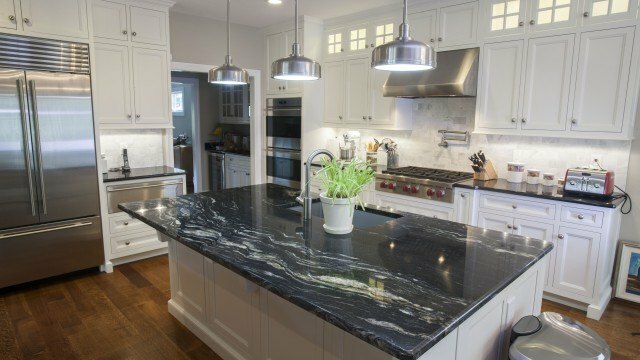 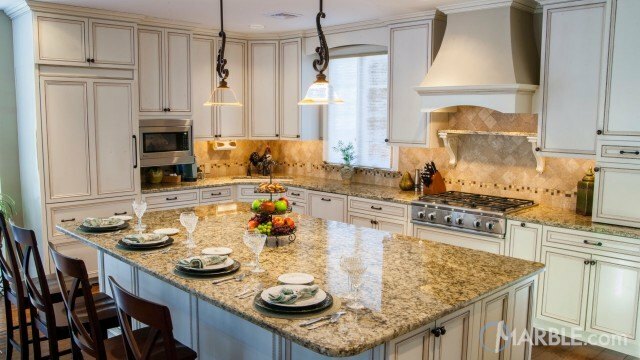 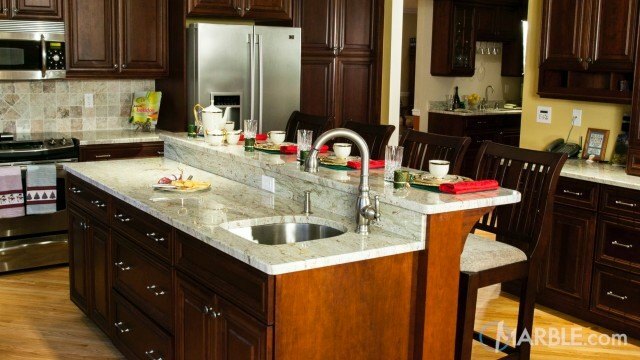 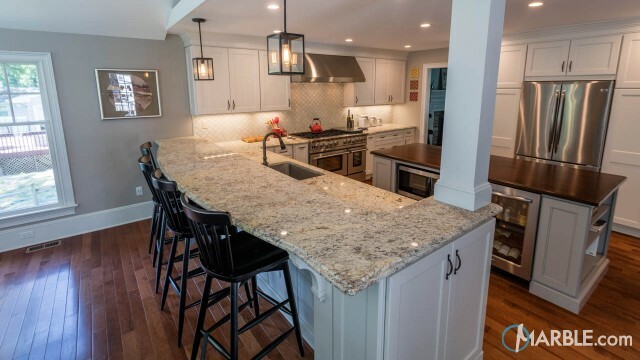 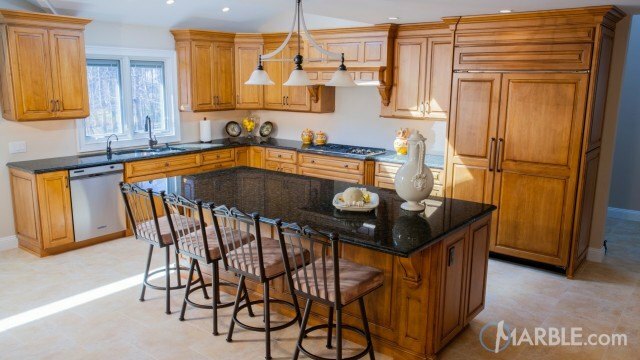 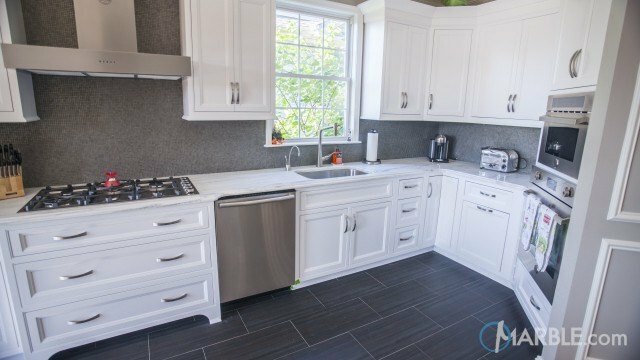 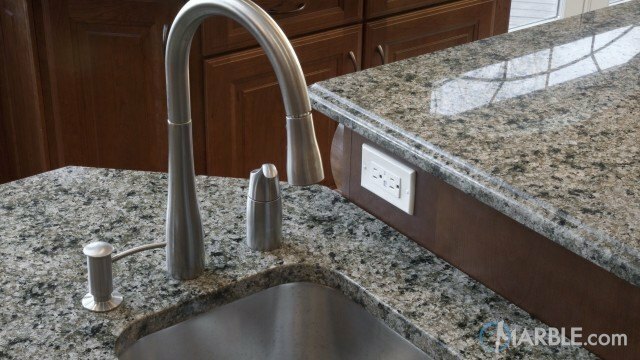 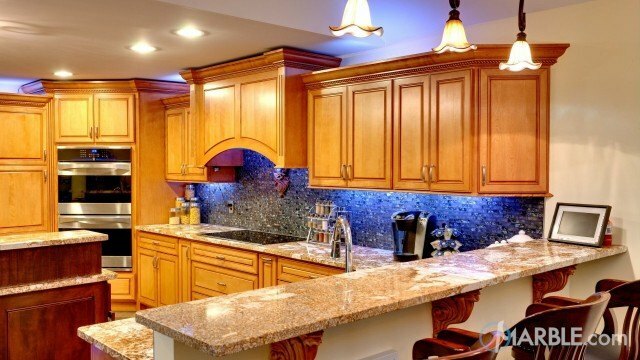 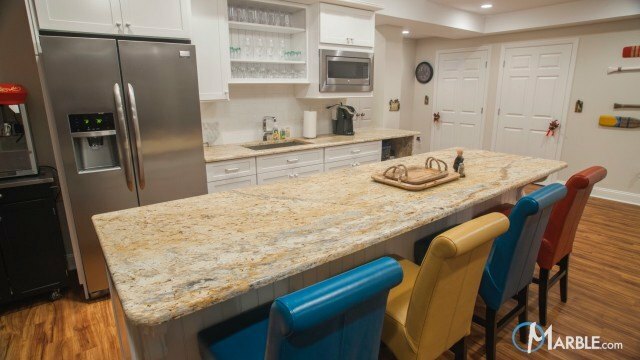 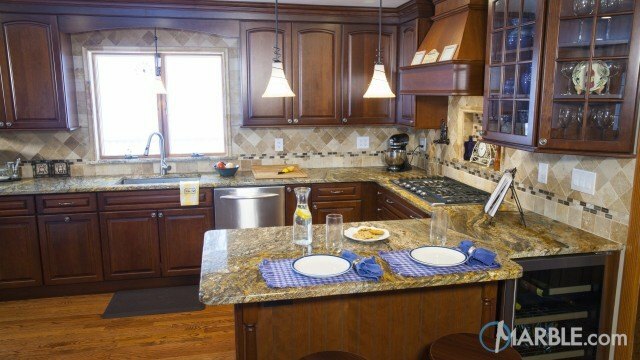 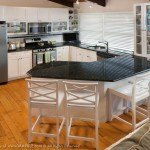 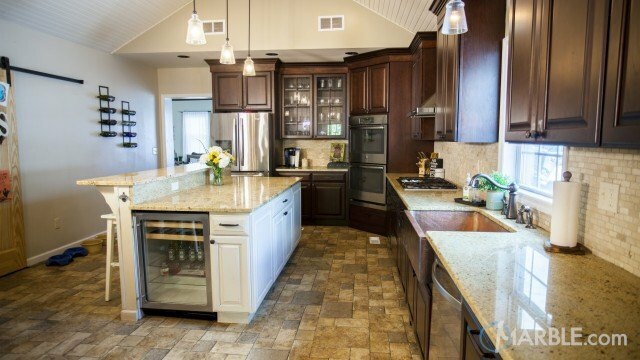 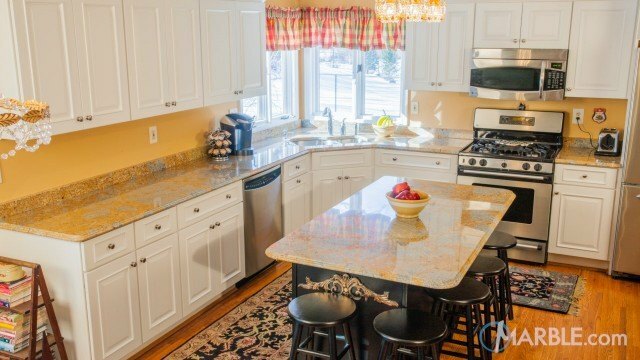 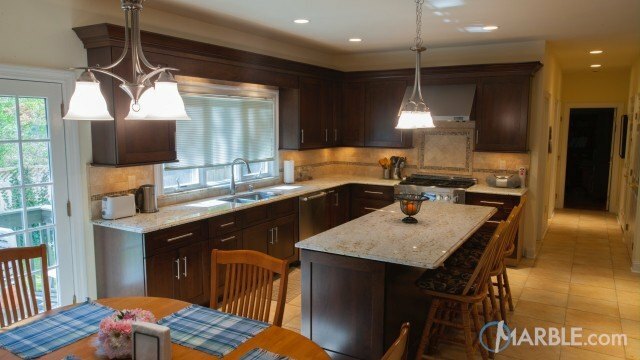 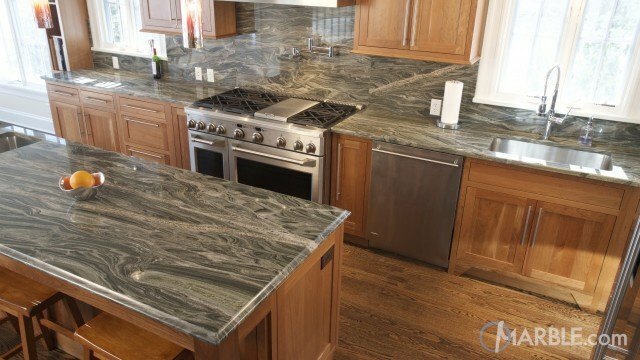 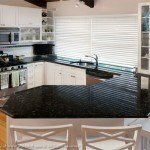 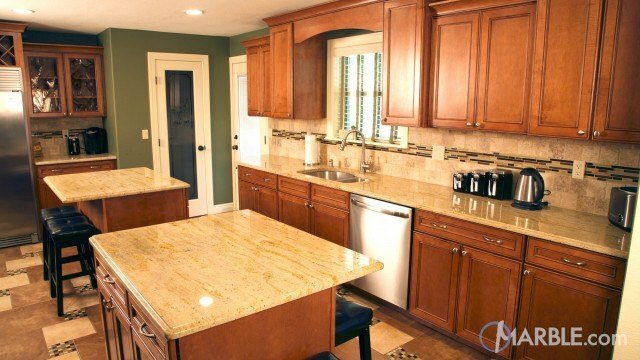 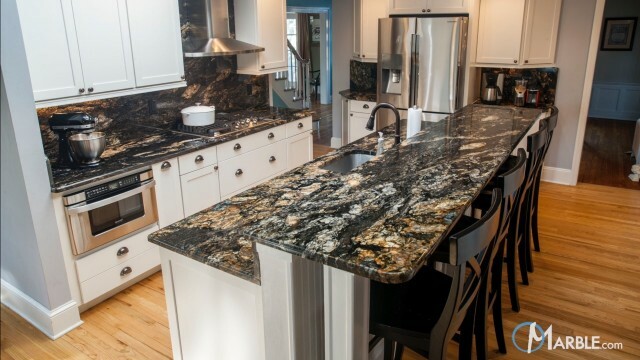 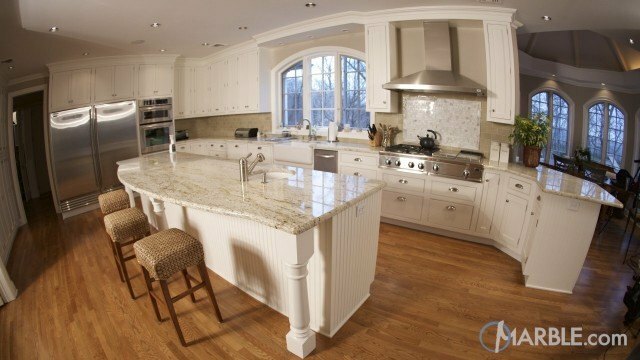 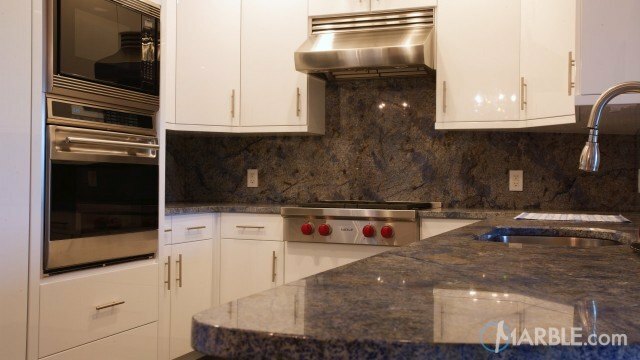 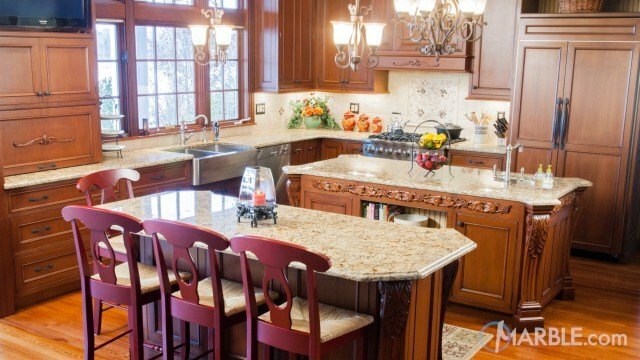 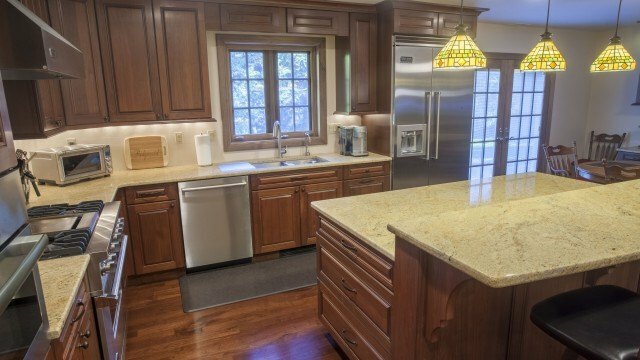 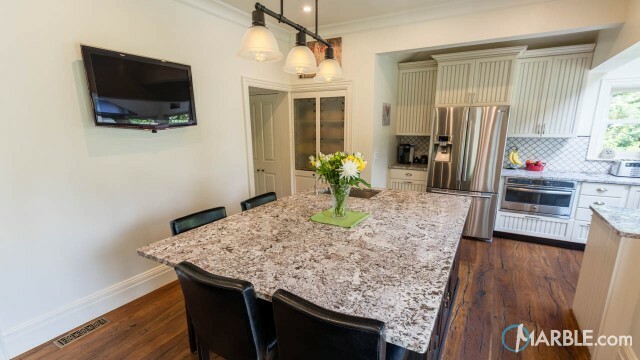 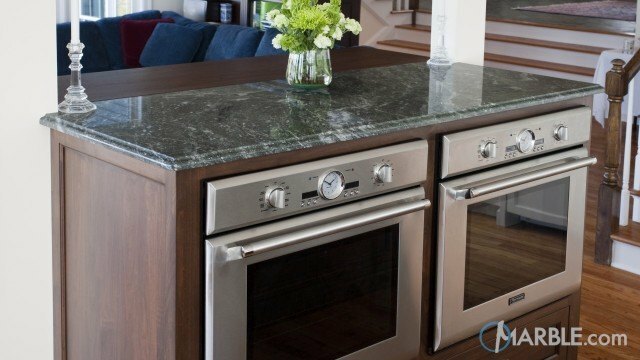 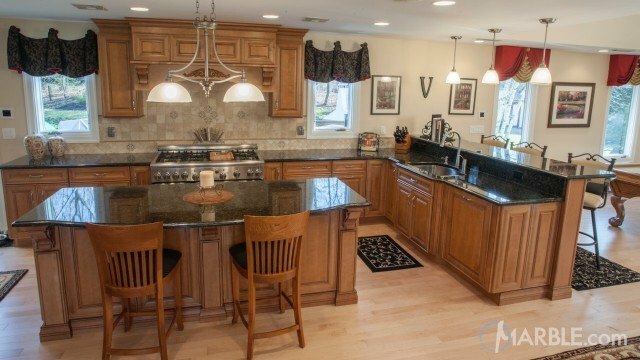 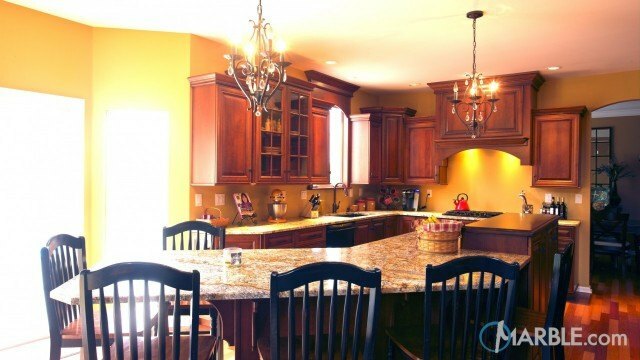 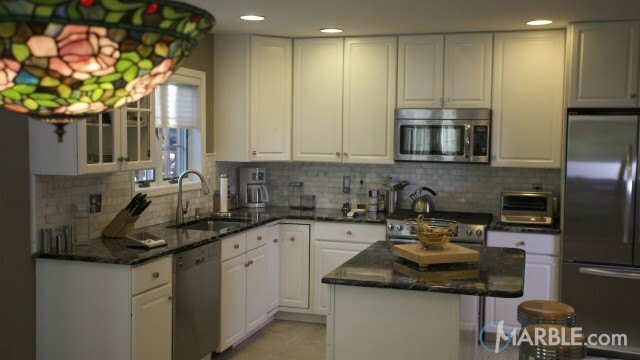 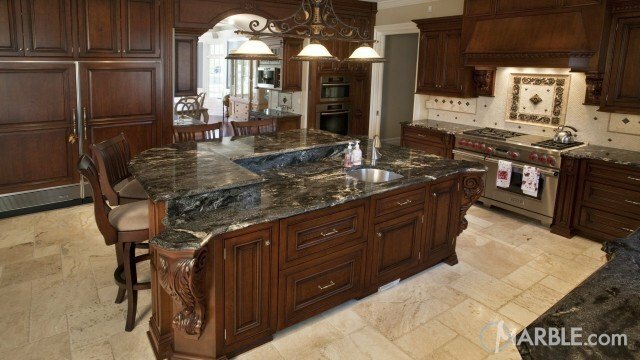 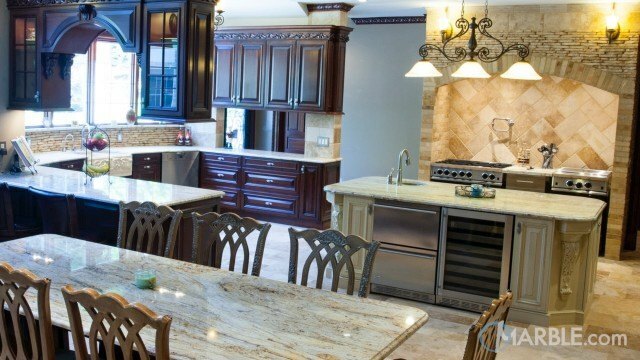 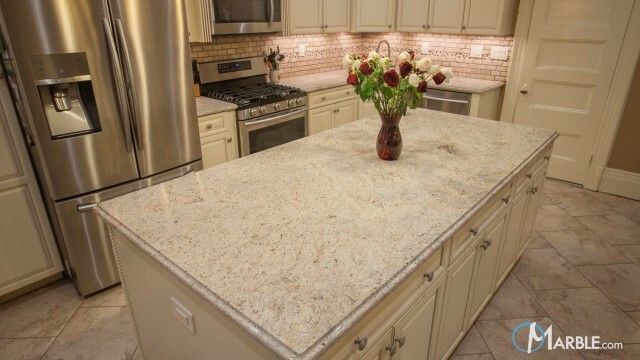 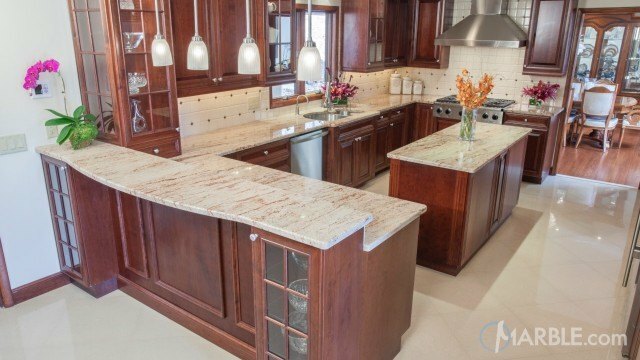 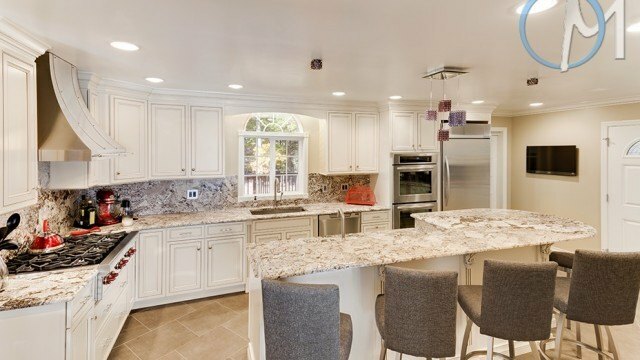 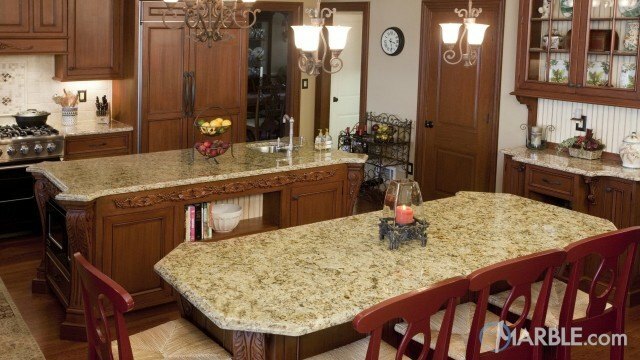 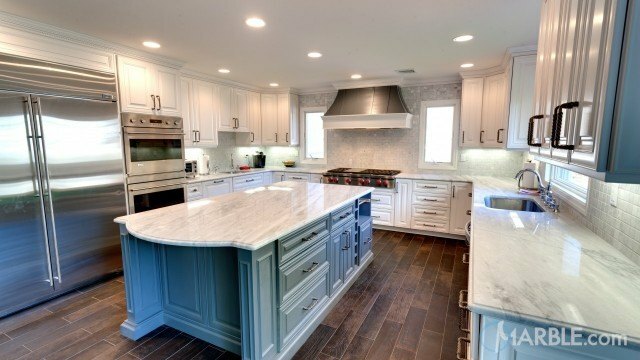 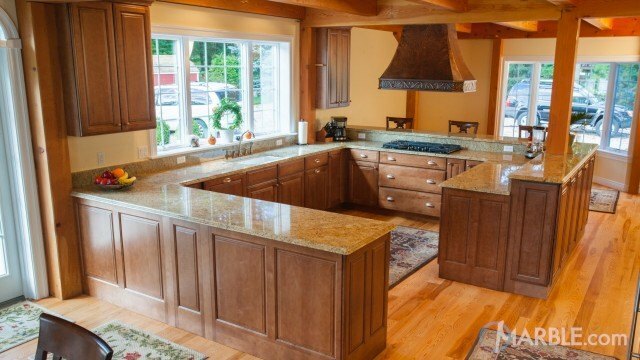 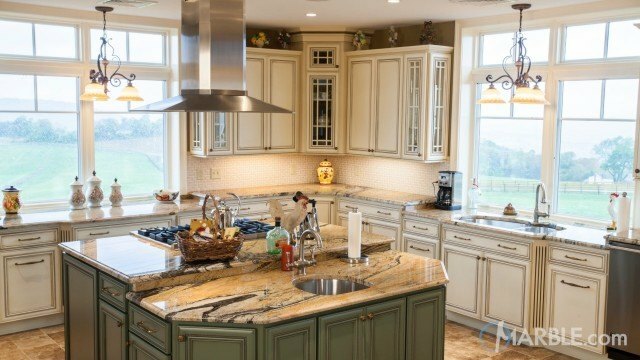 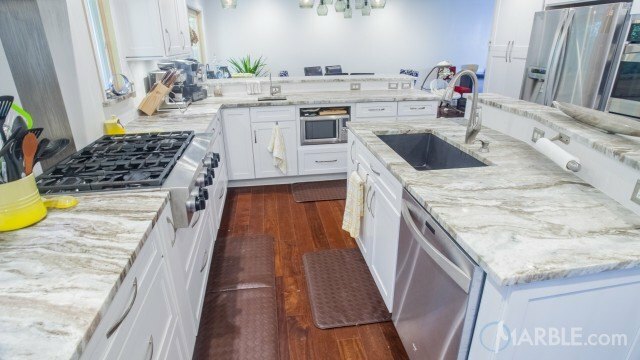 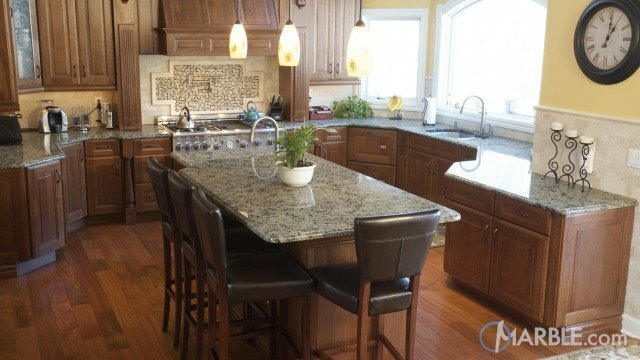 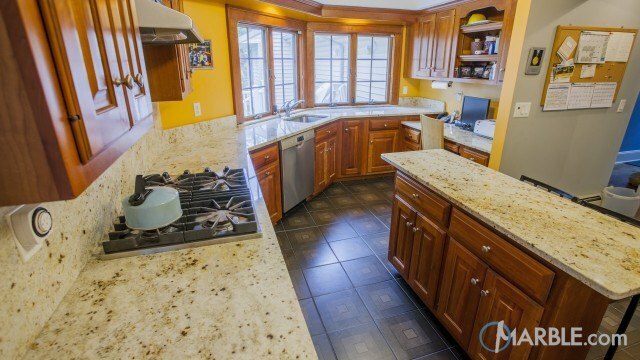 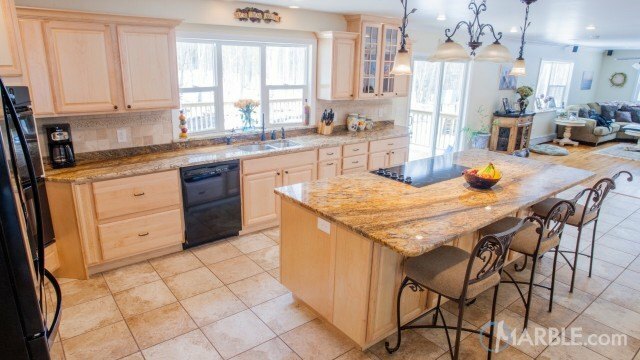 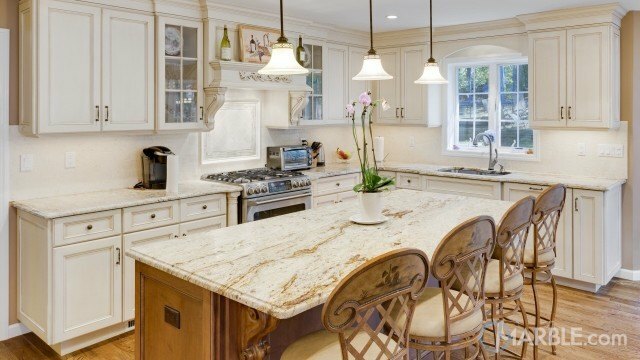 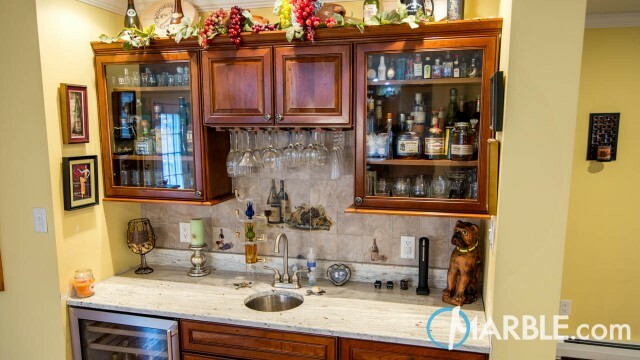 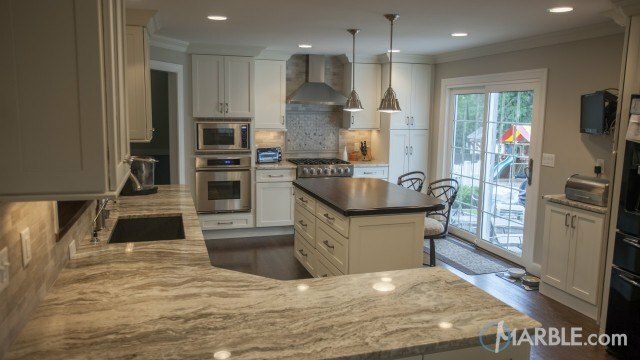 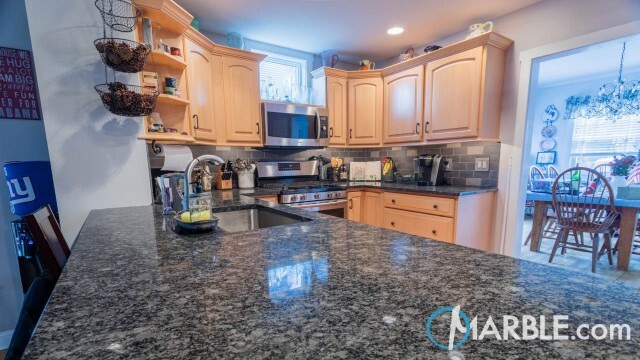 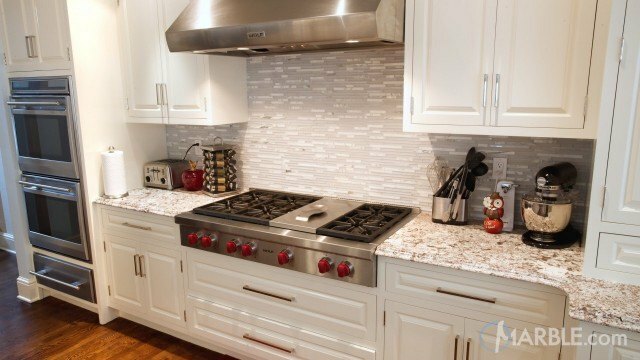 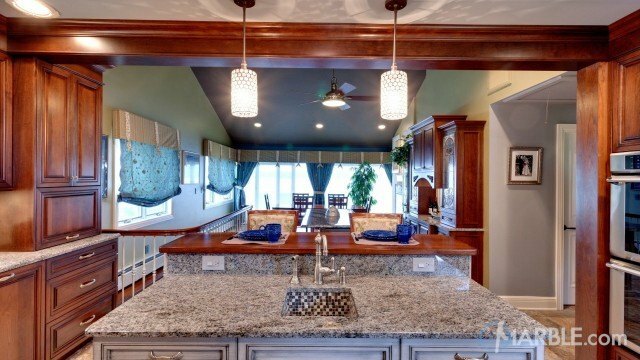 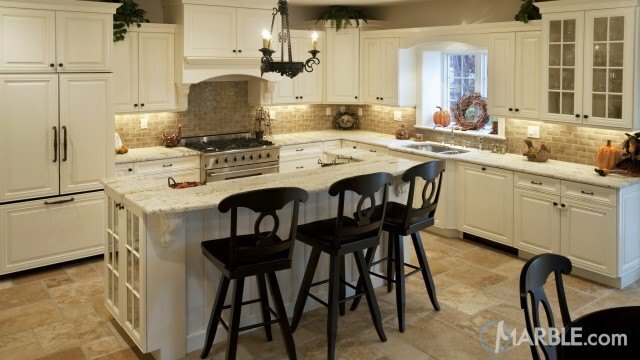 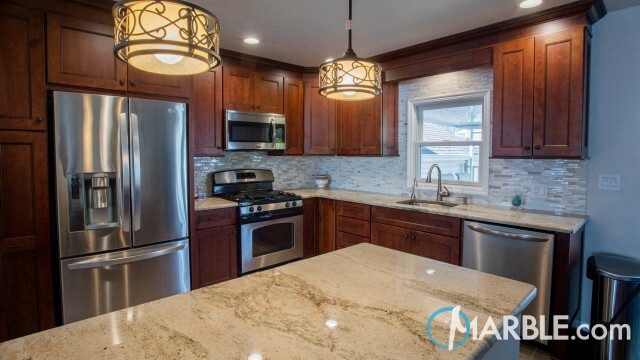 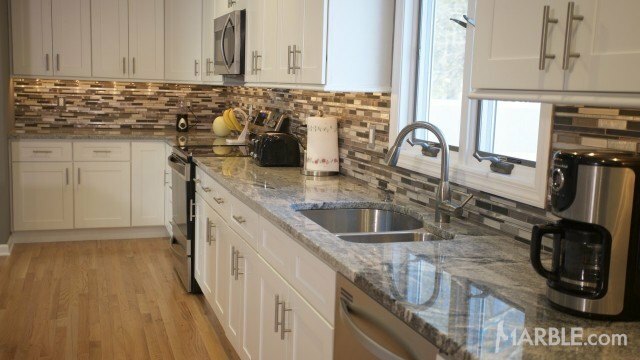 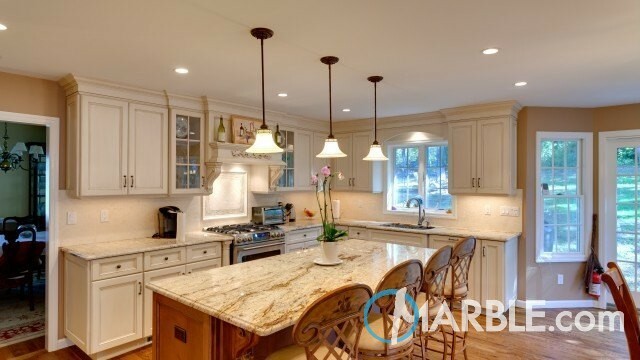 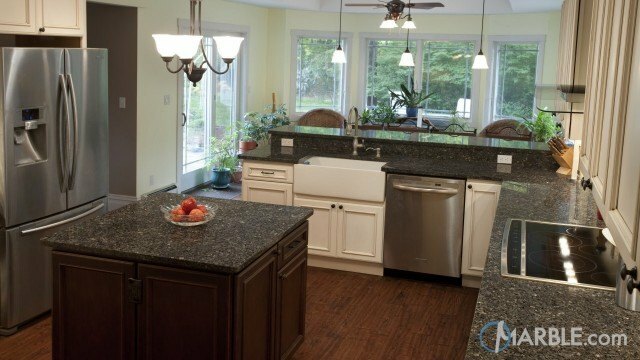 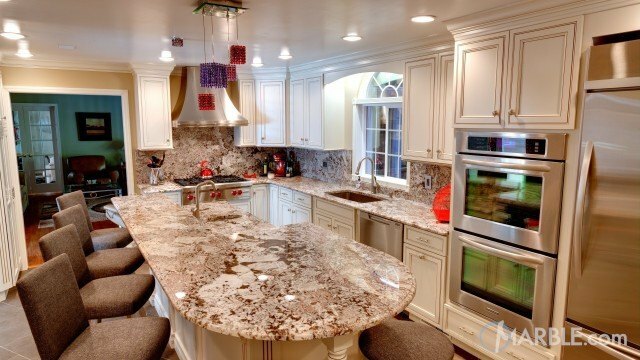 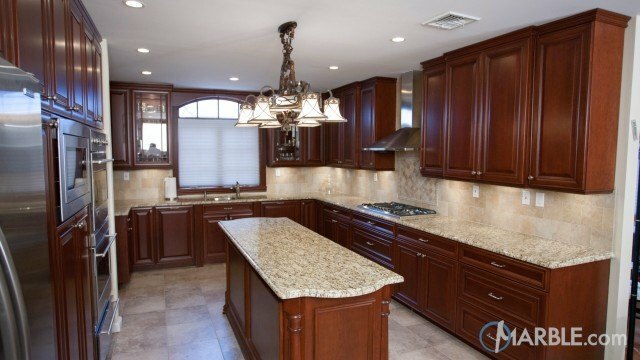 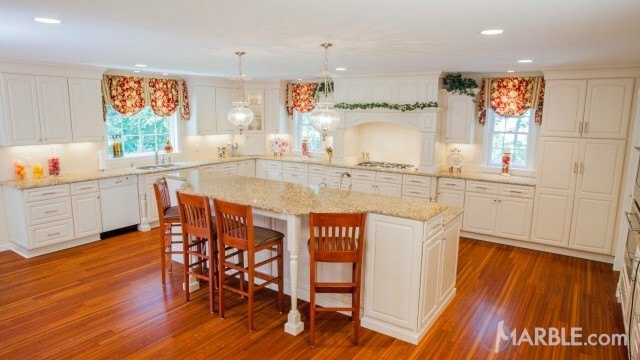 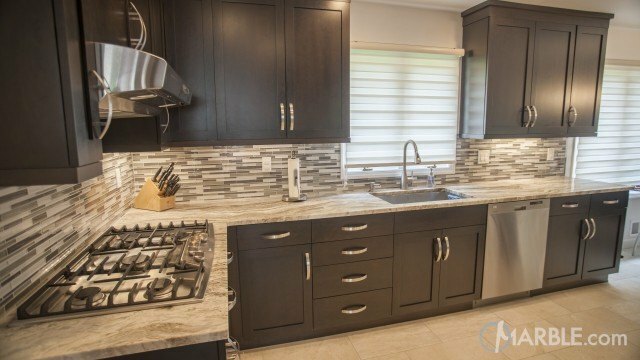 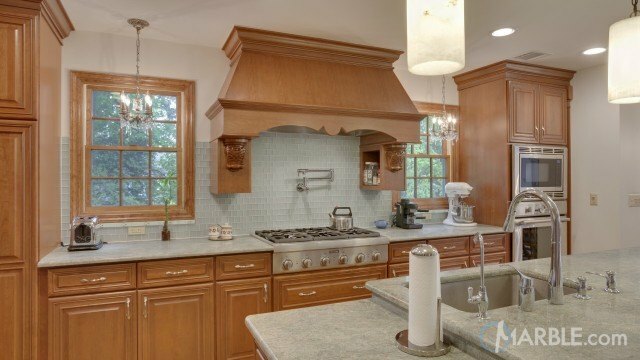 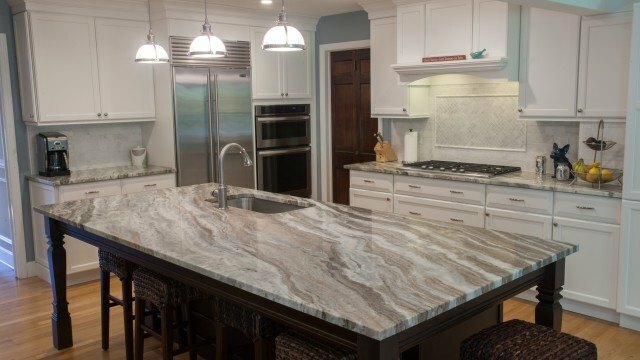 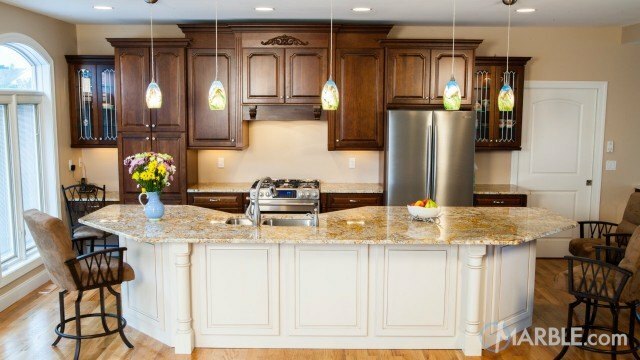 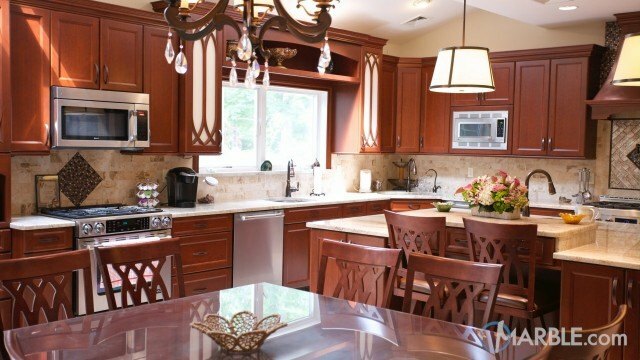 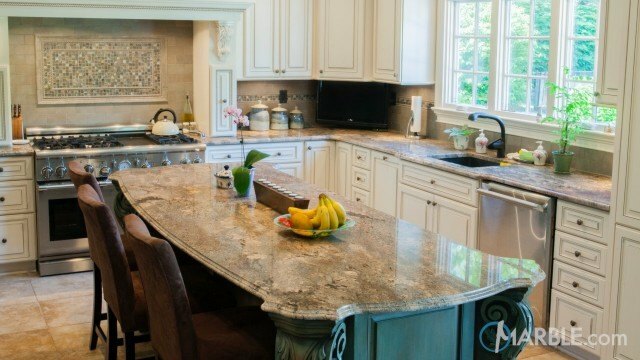 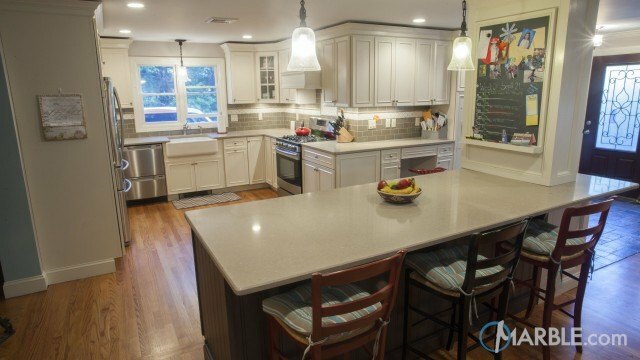 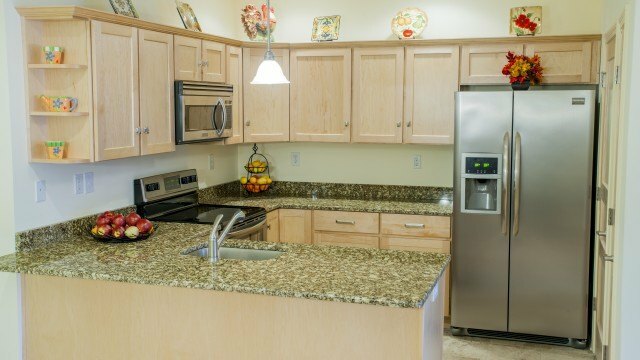 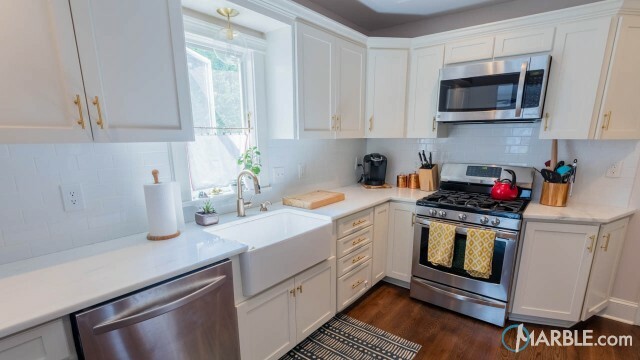 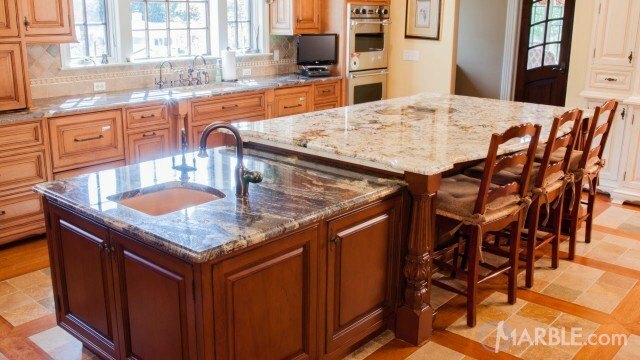 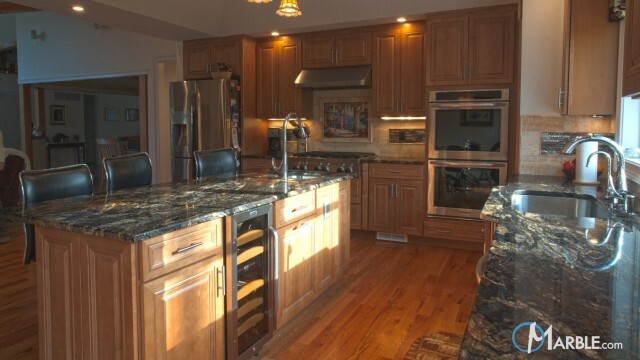 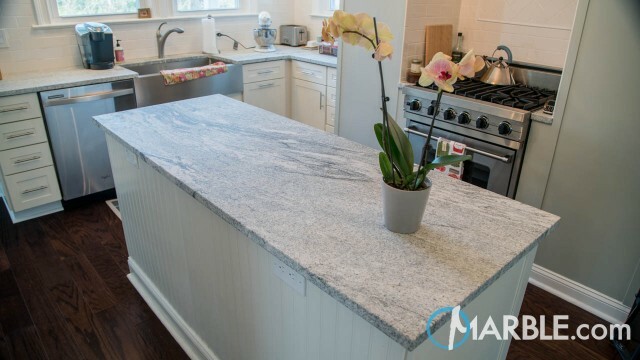 This Cape Cod style kitchen showcases white cabinets and Butterfly Green granite. 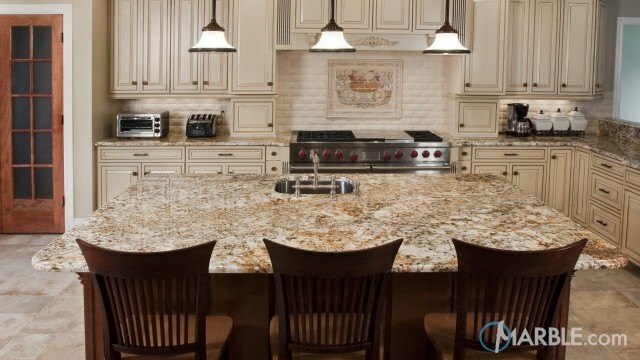 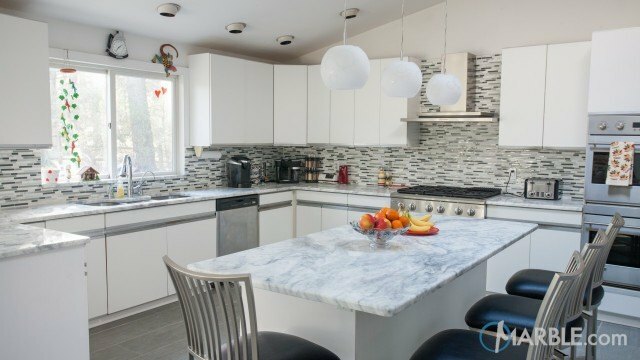 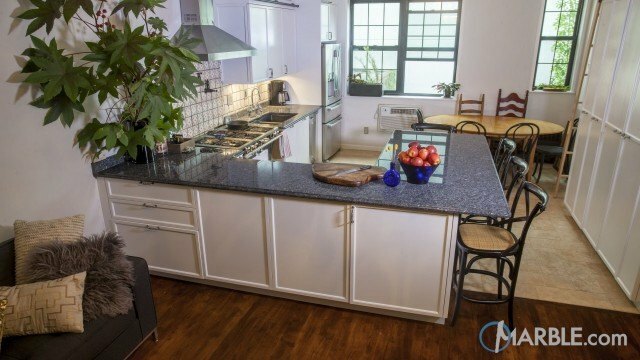 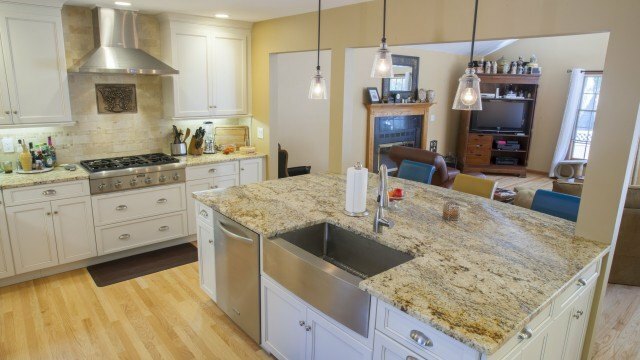 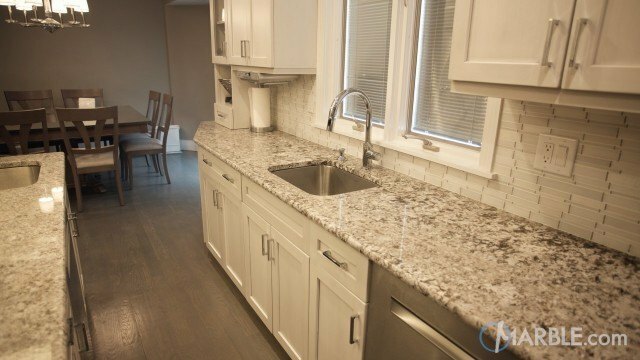 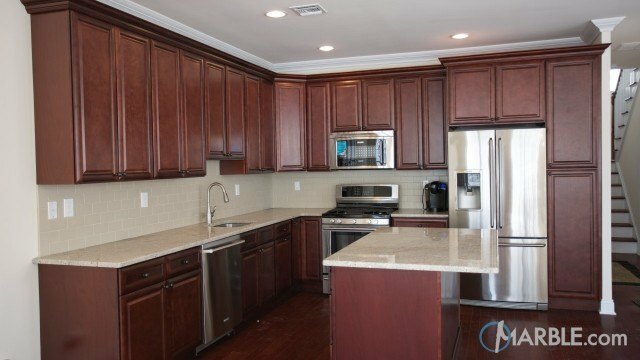 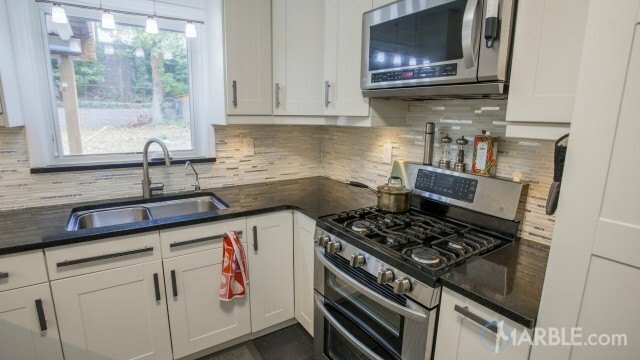 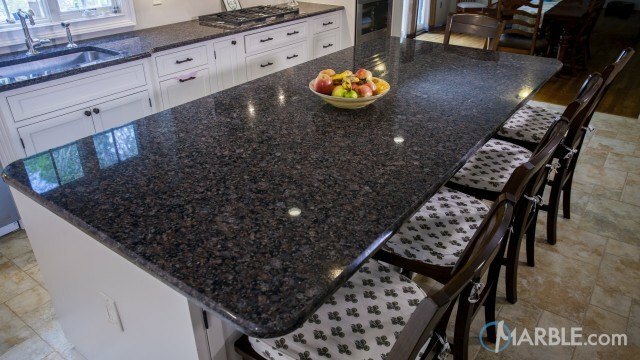 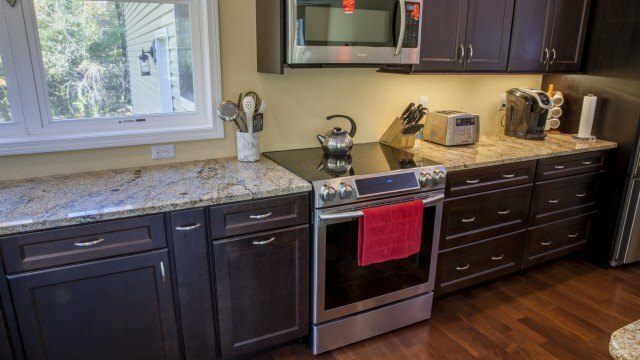 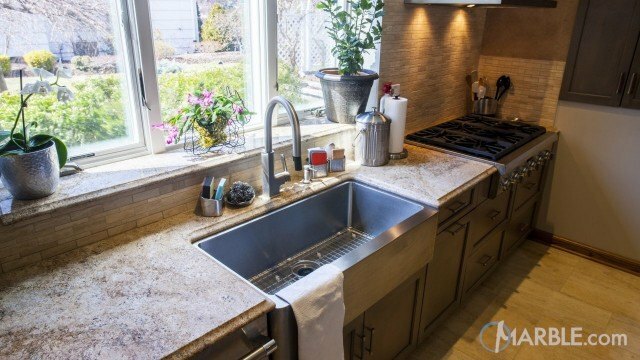 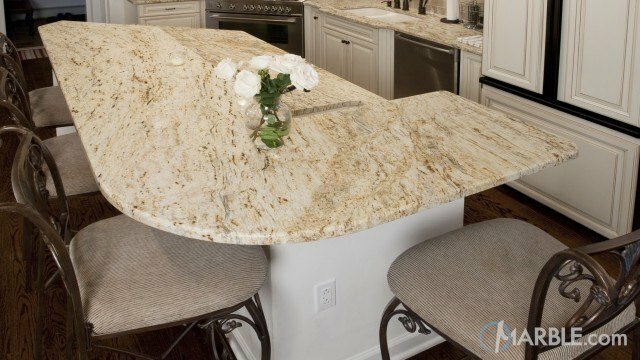 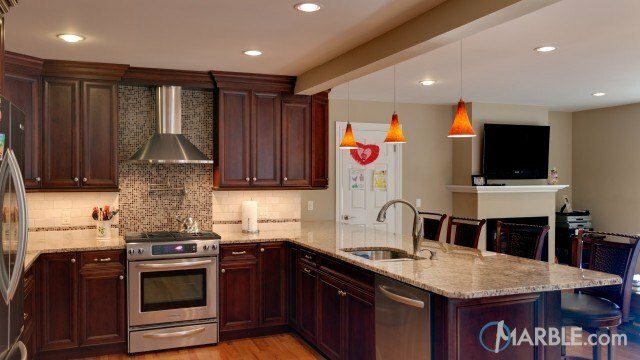 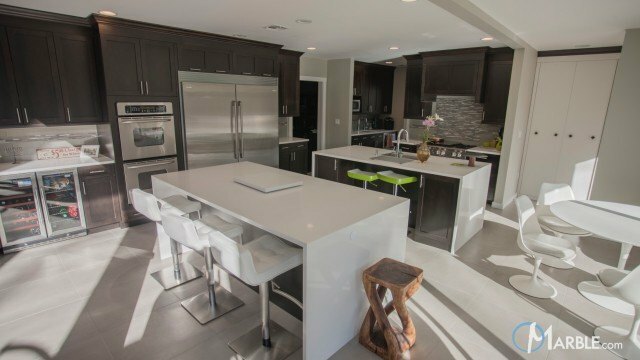 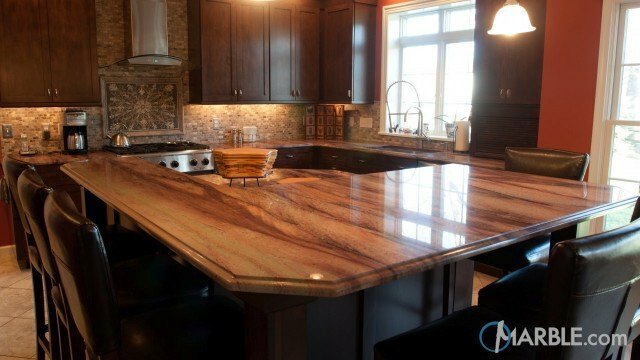 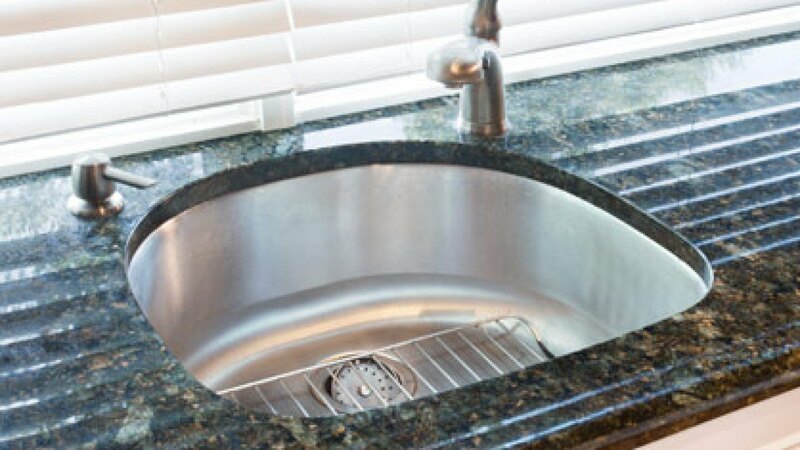 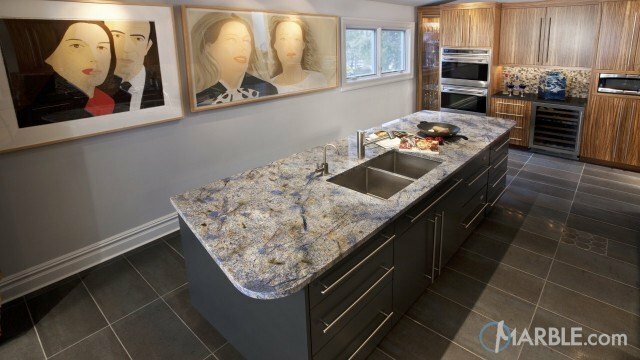 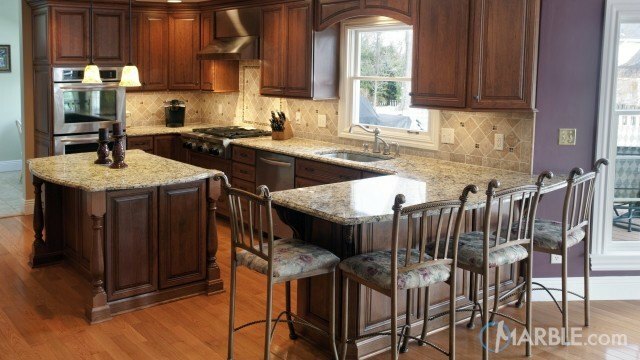 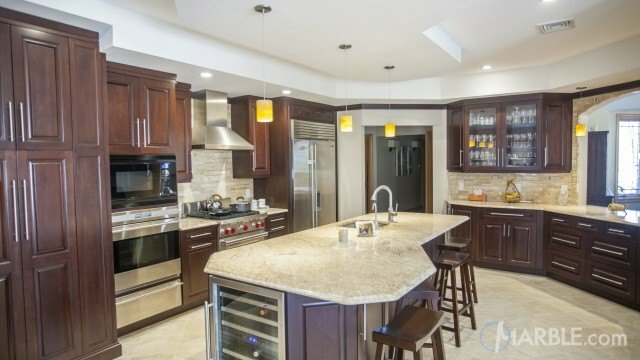 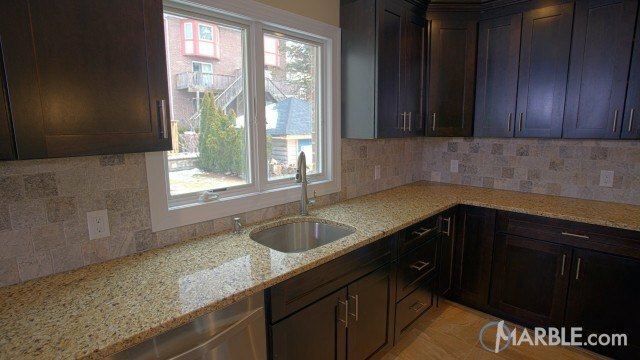 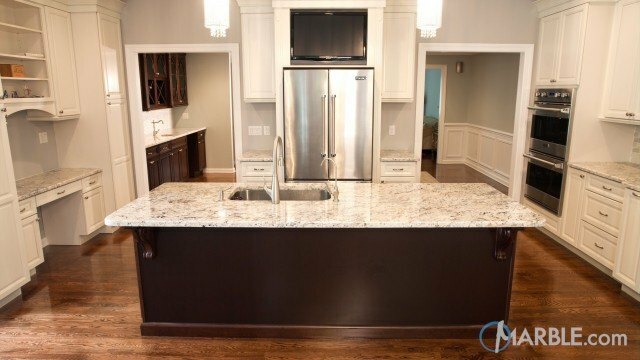 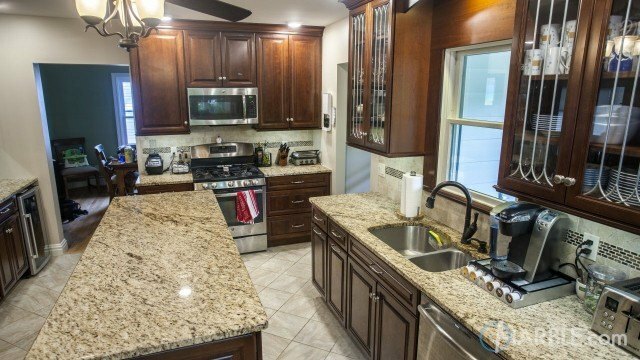 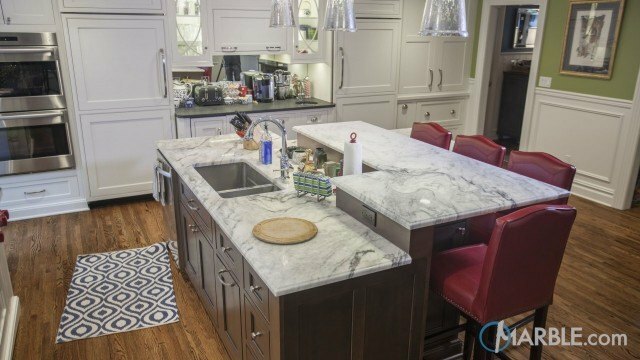 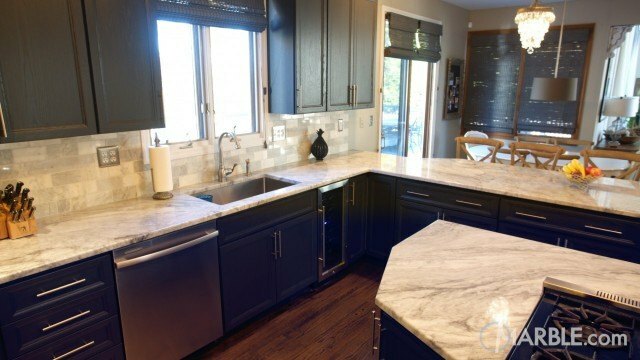 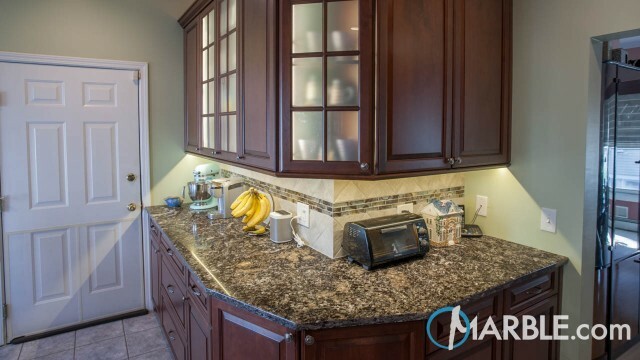 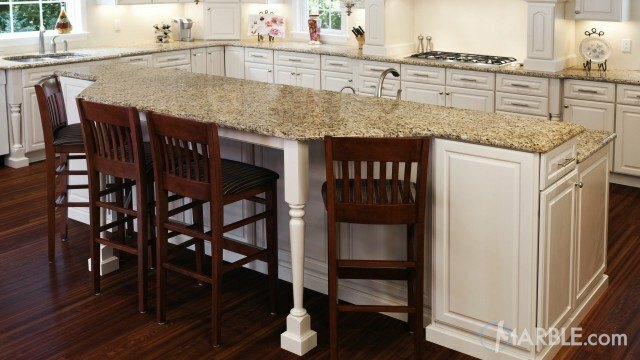 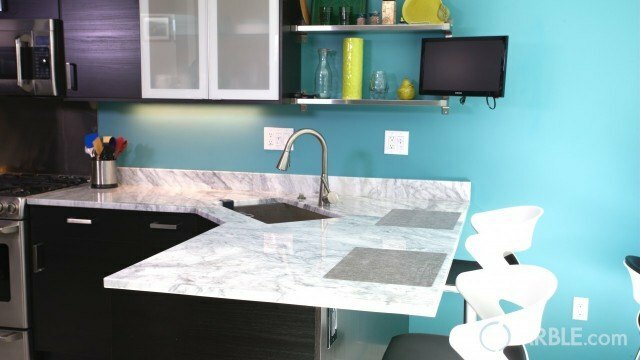 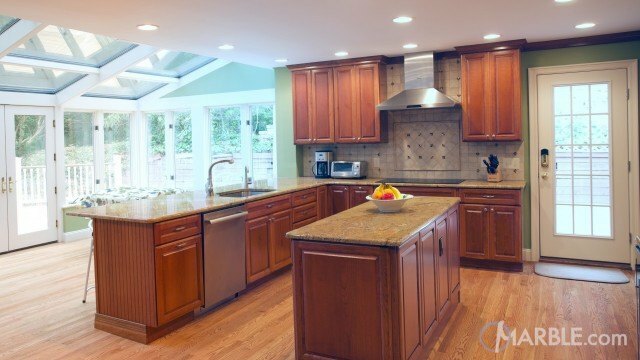 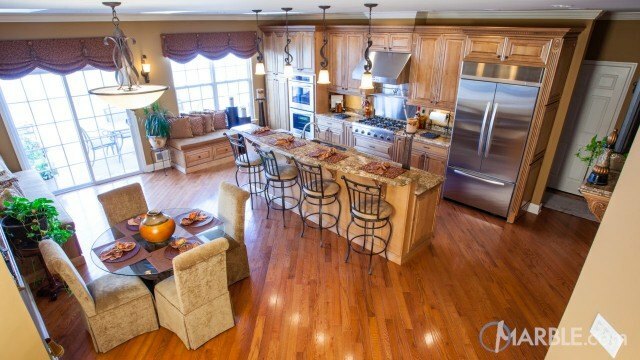 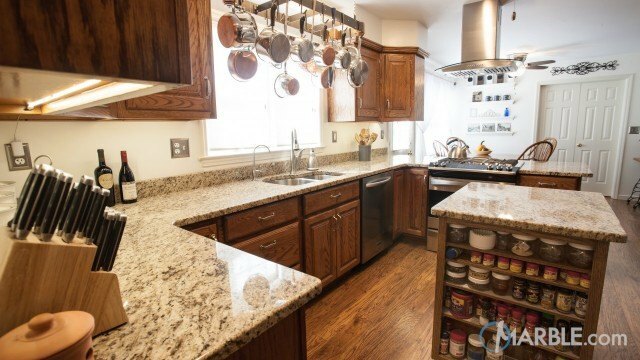 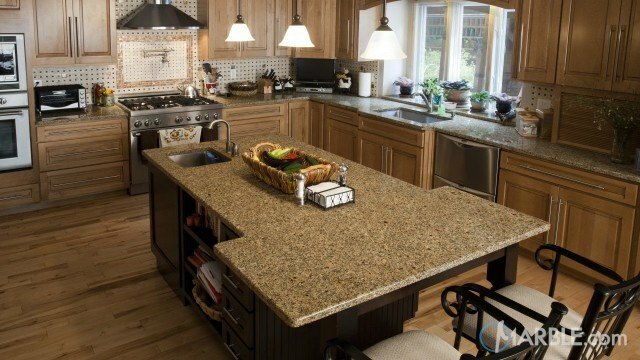 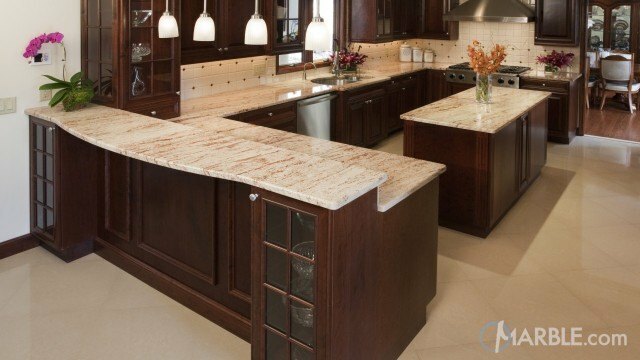 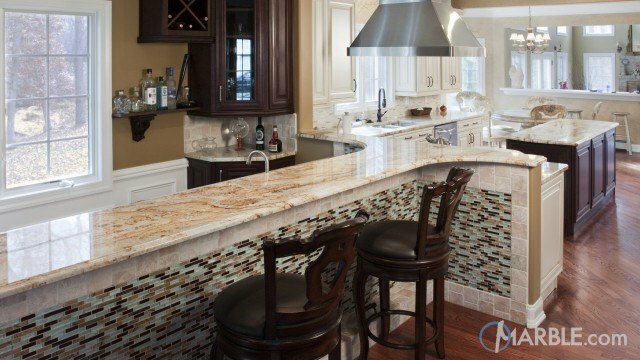 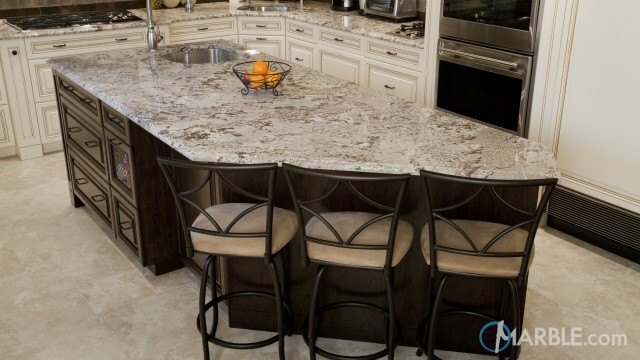 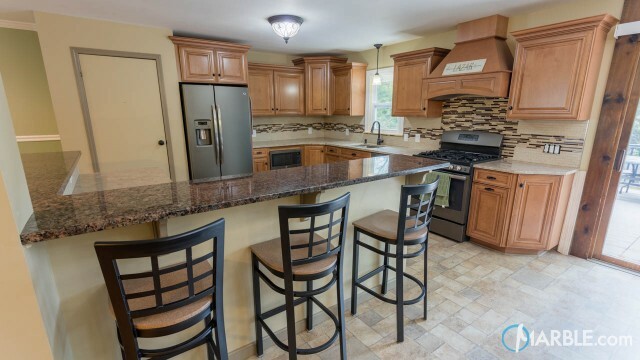 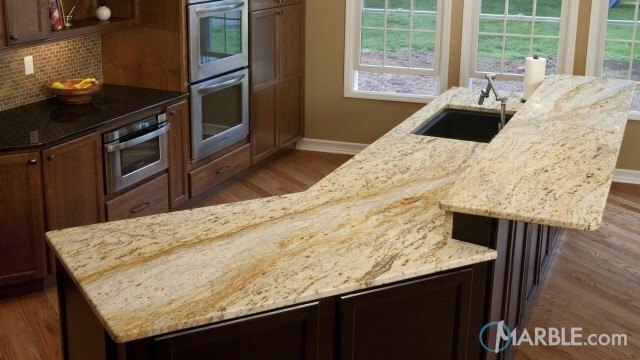 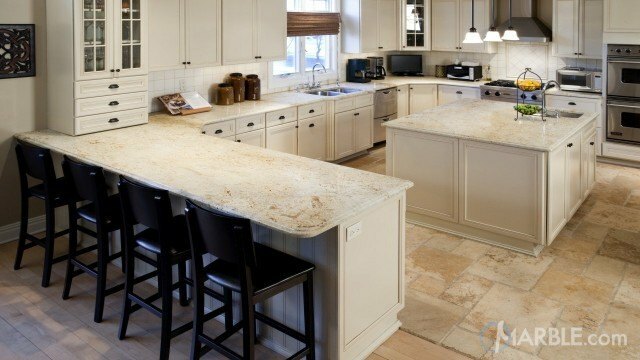 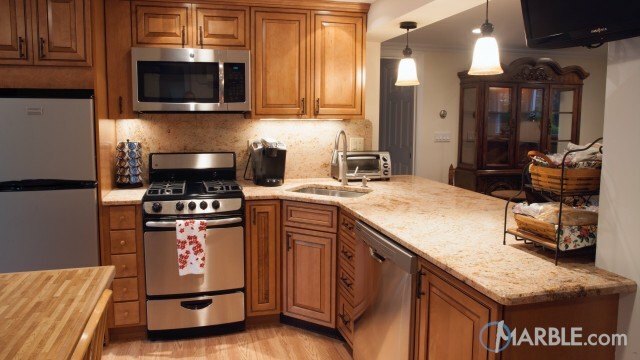 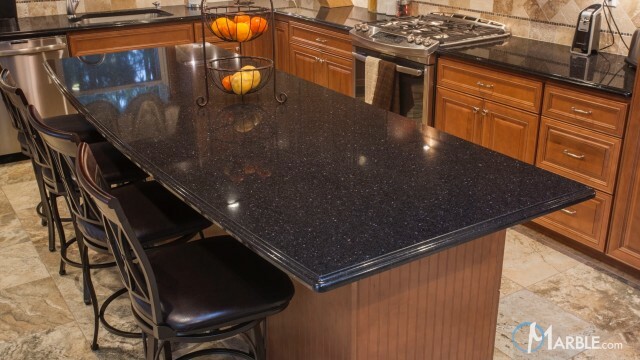 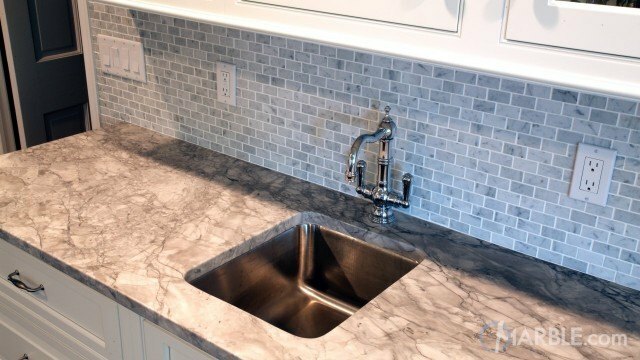 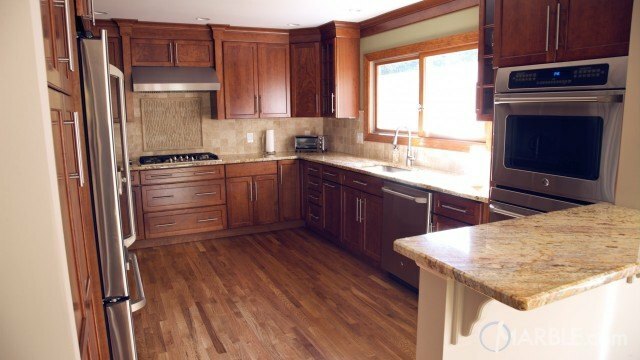 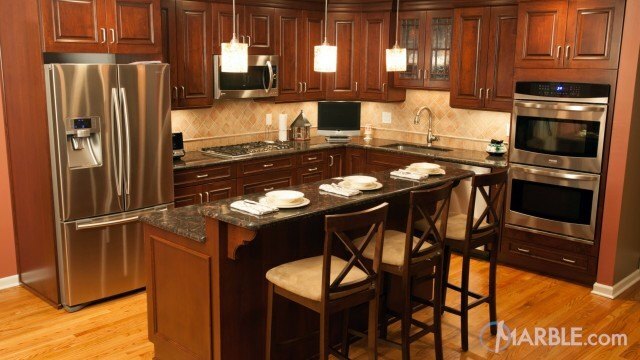 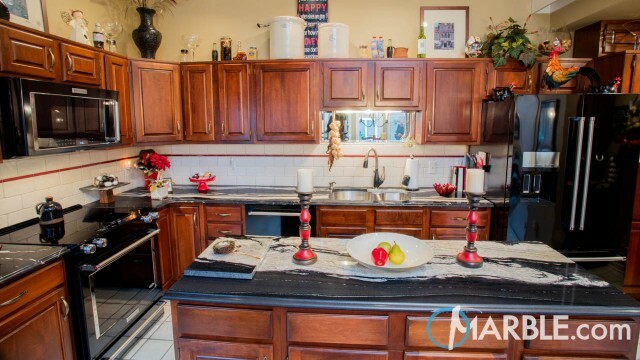 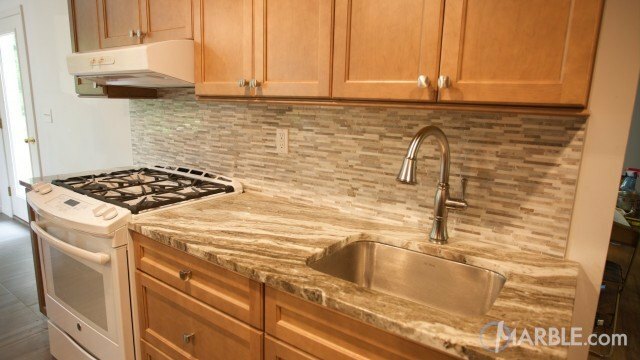 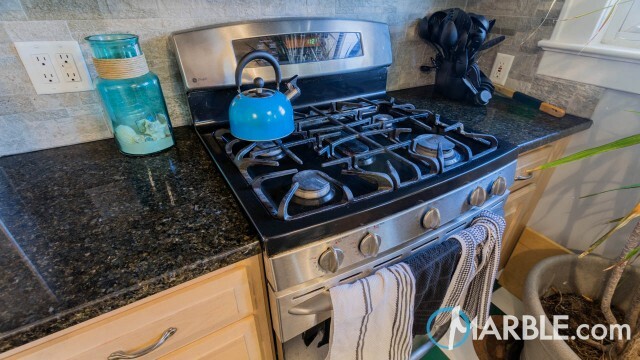 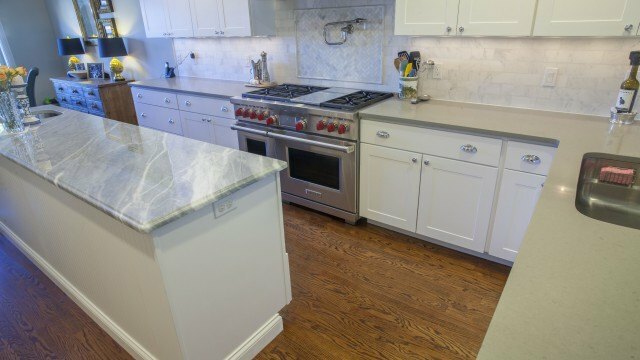 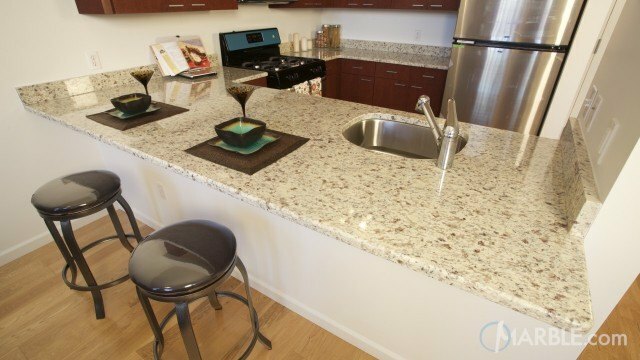 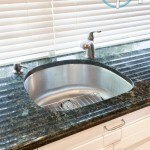 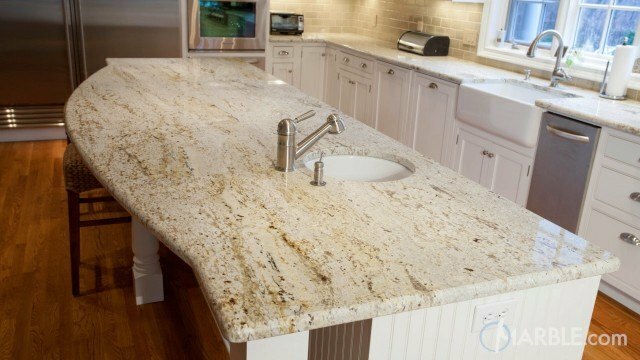 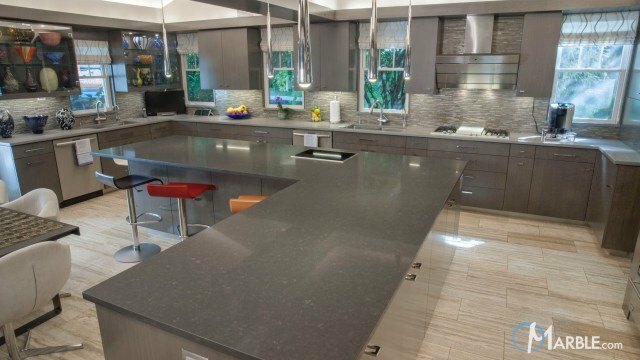 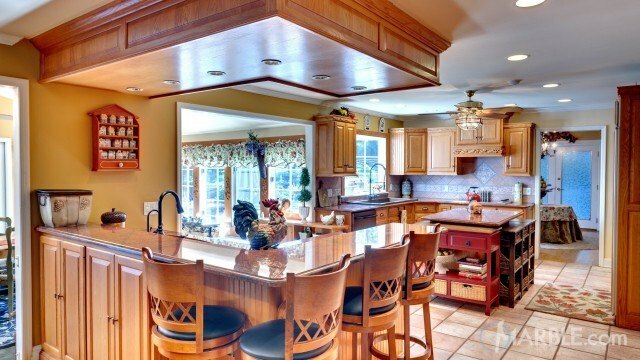 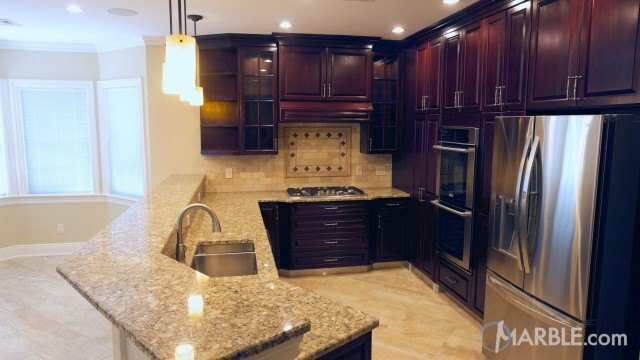 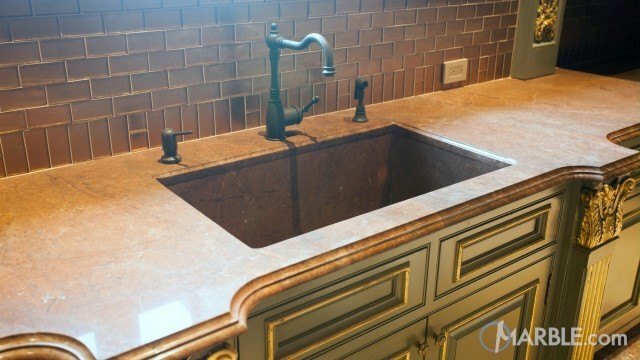 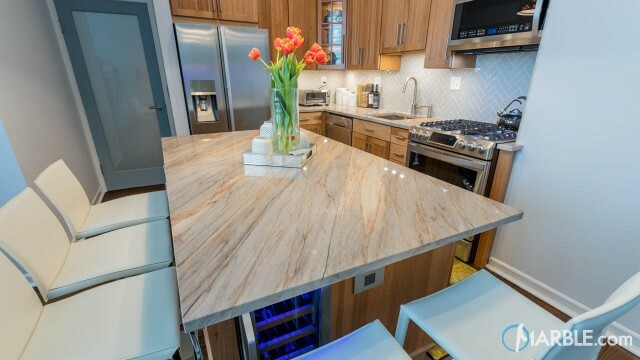 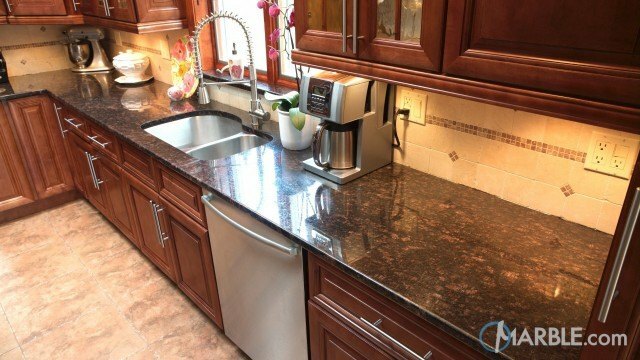 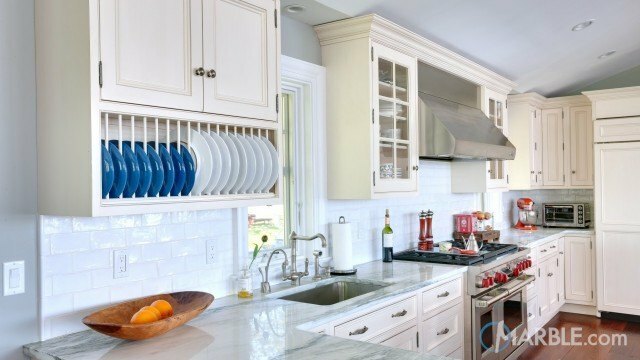 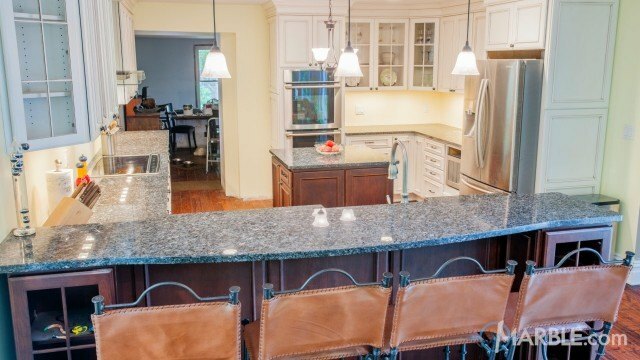 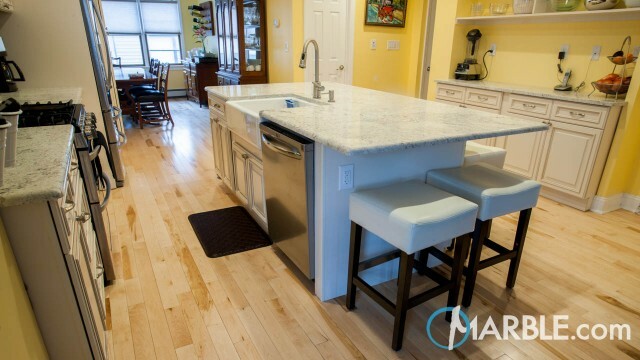 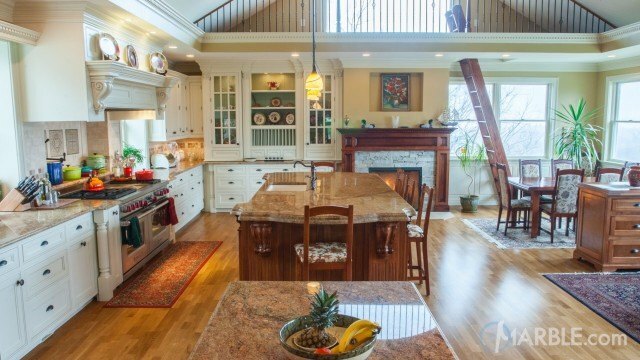 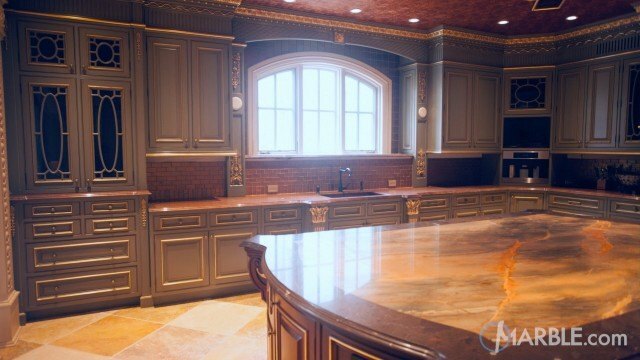 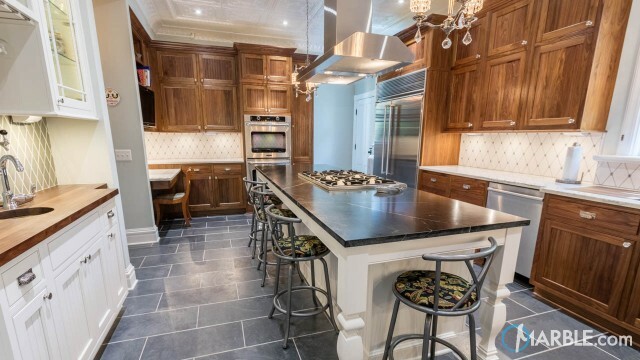 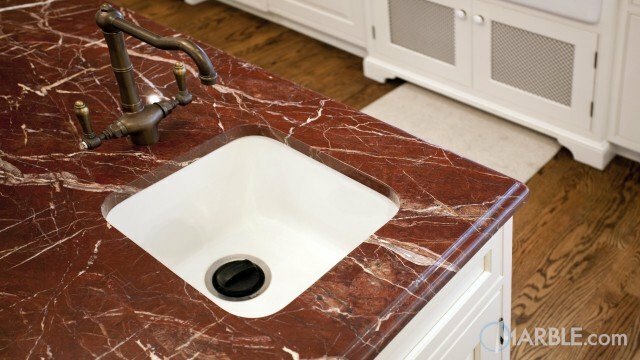 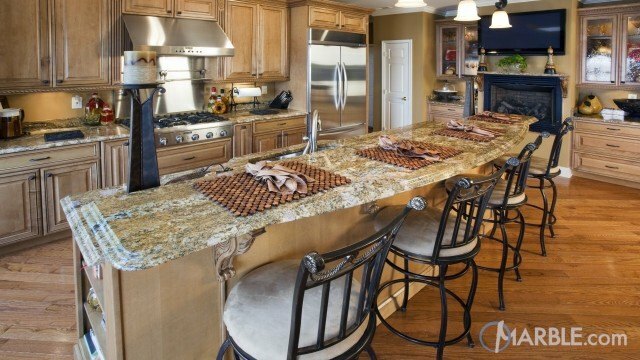 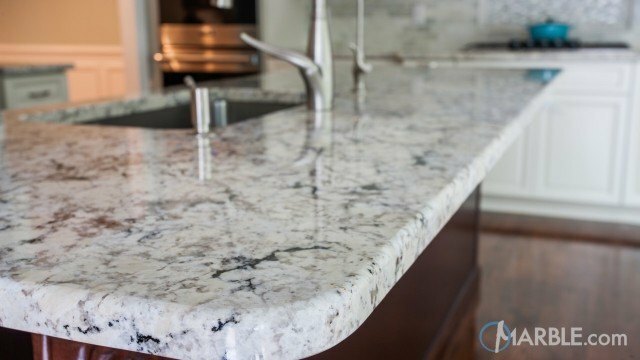 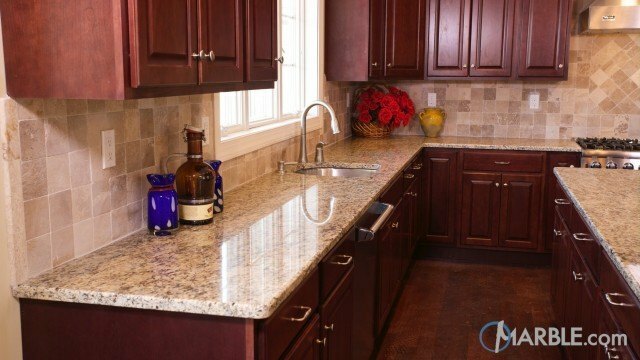 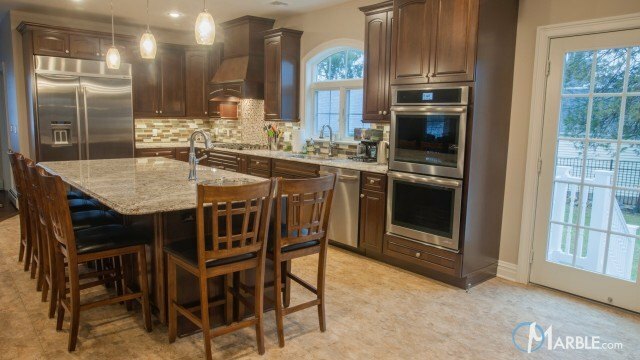 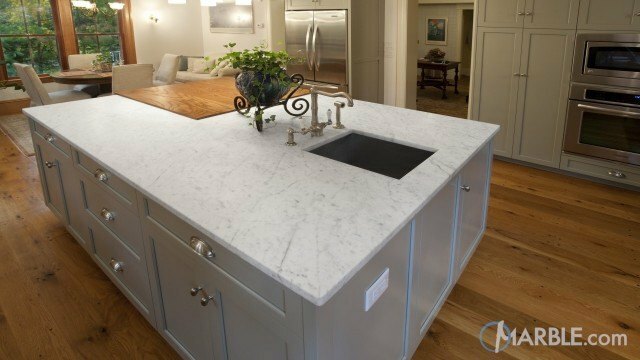 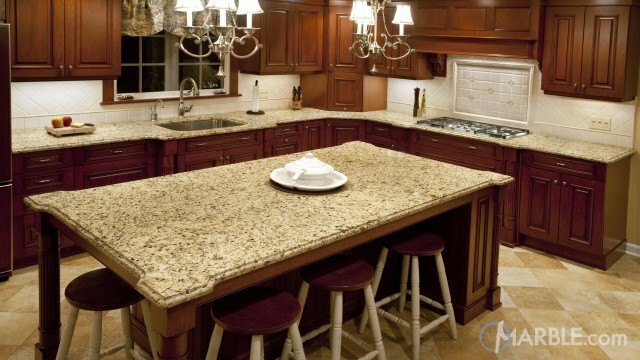 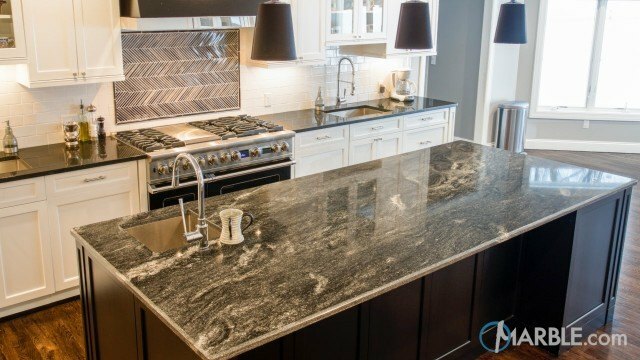 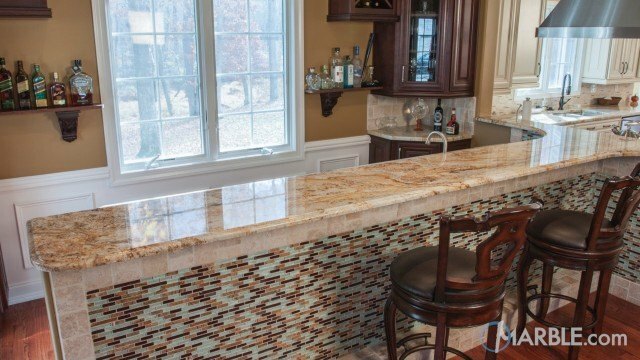 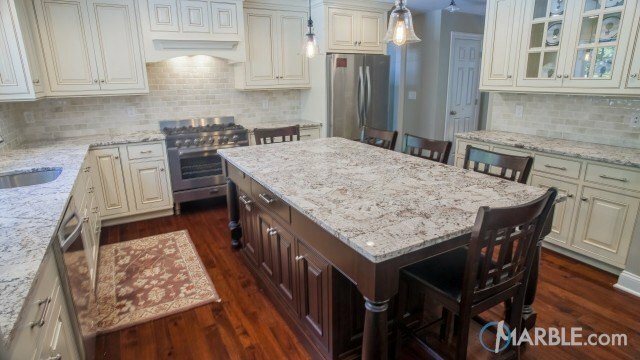 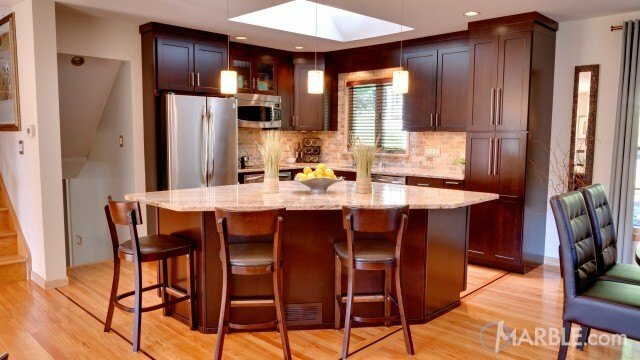 The angled counter top makes for a better cooking space and for easy access to the sitting area. 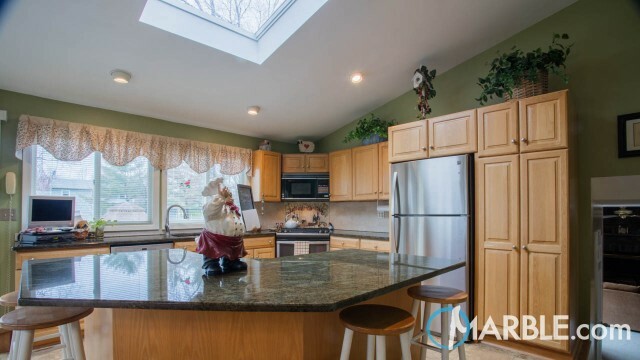 The large windows allow for lots of natural light to shine into this beautiful space.